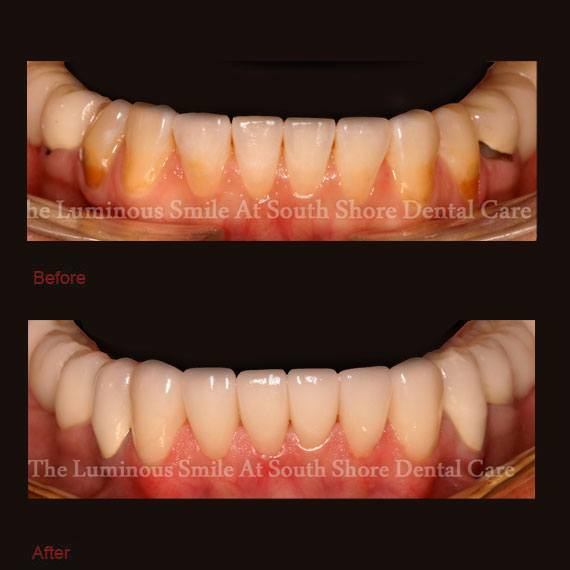 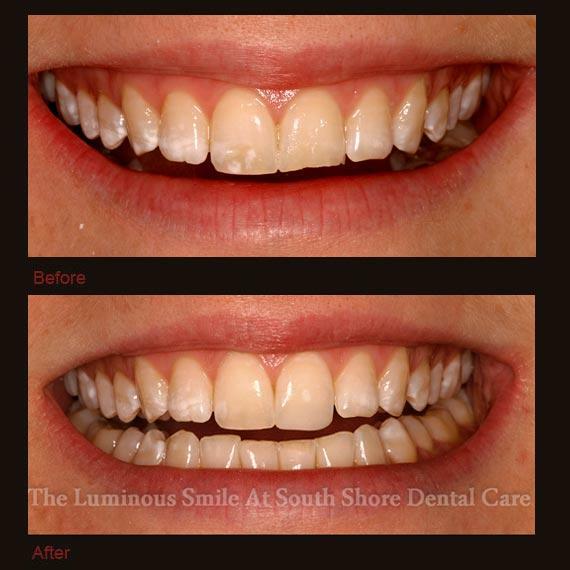 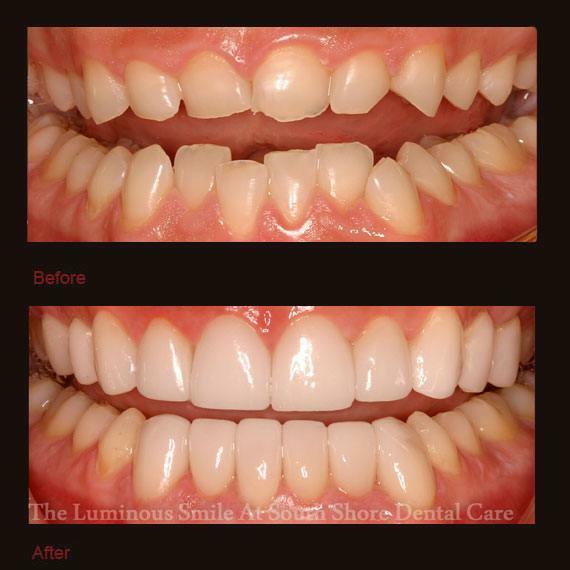 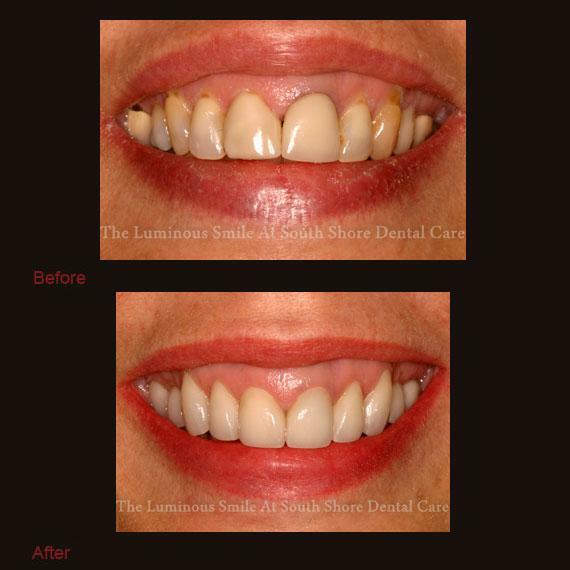 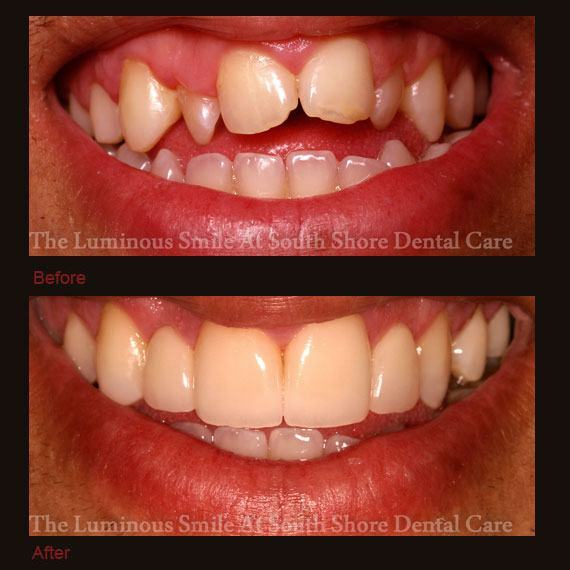 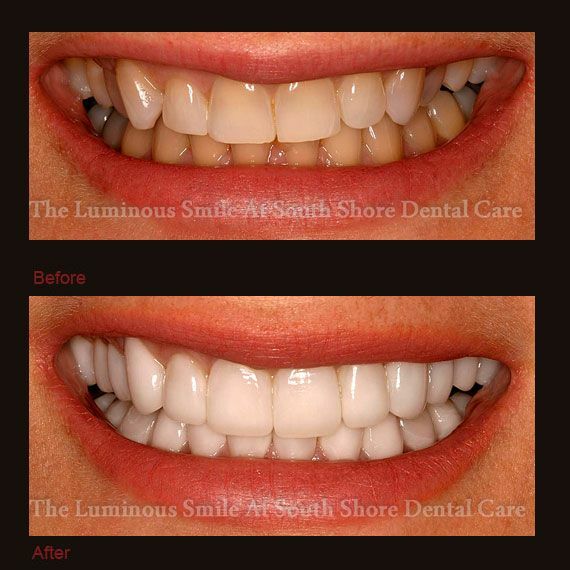 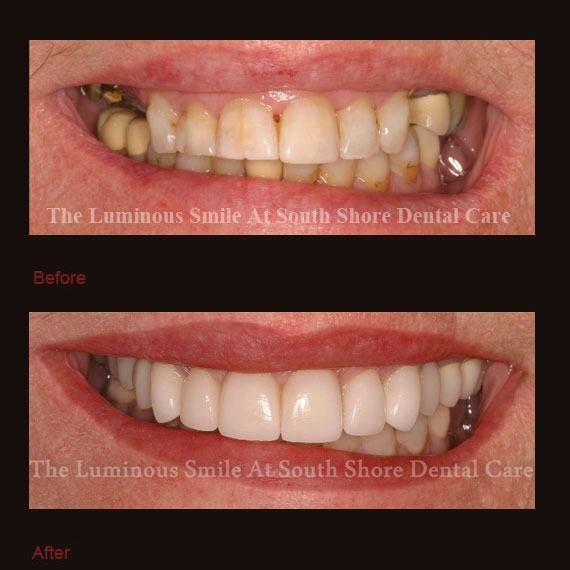 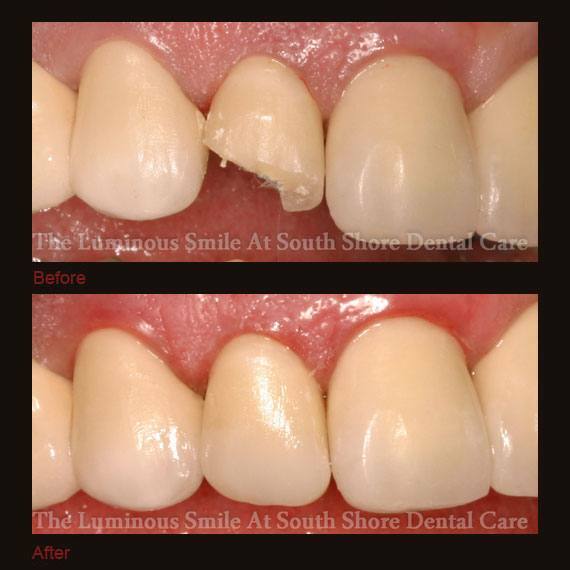 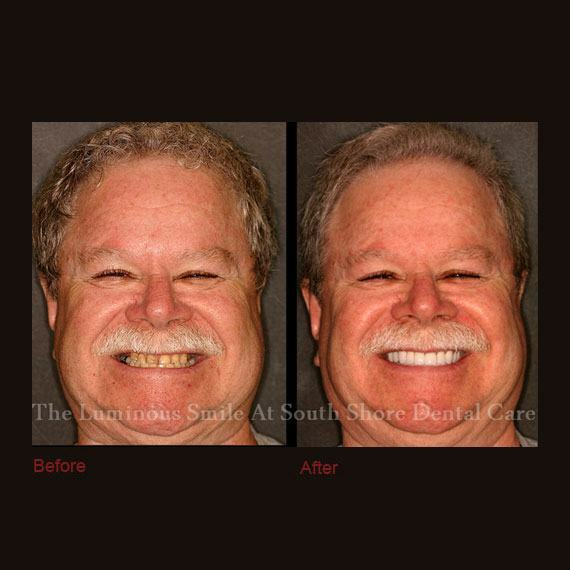 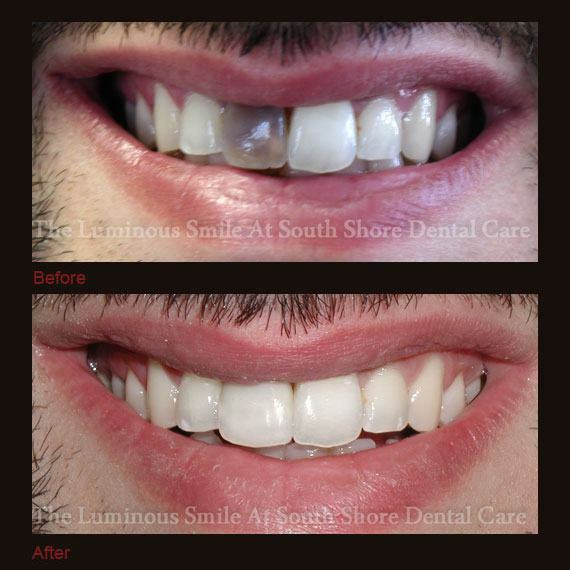 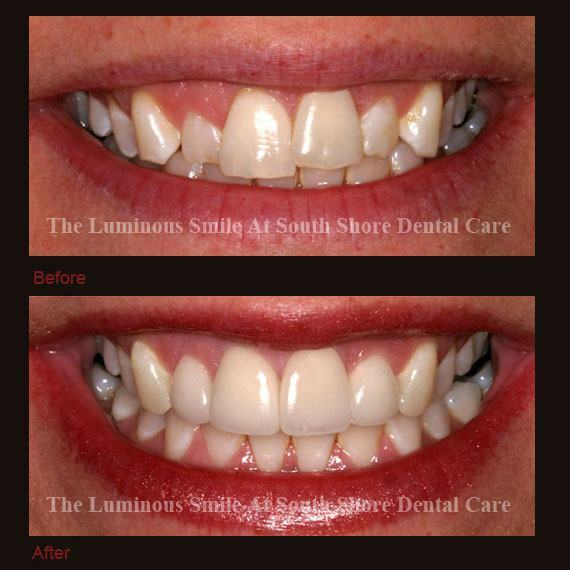 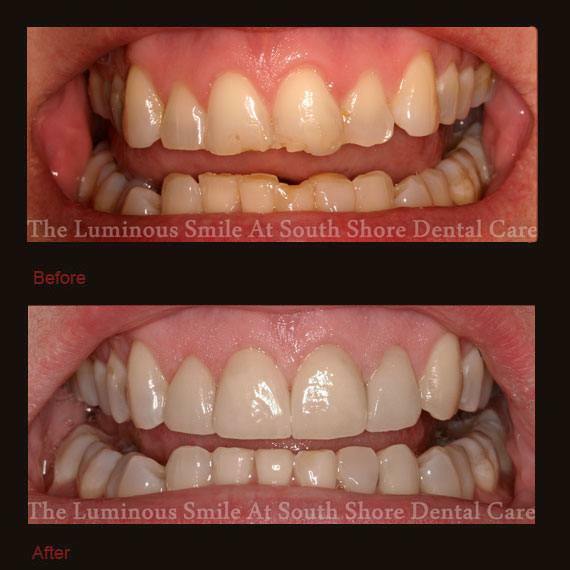 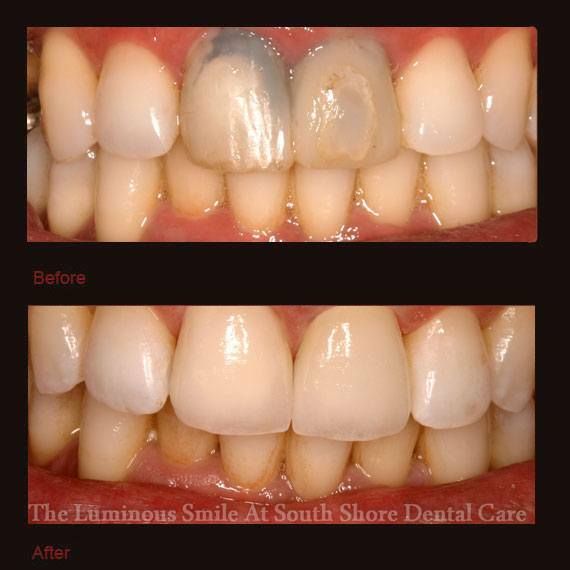 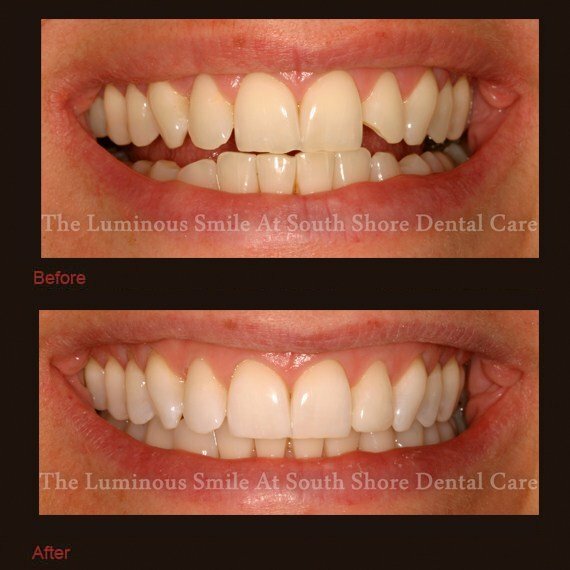 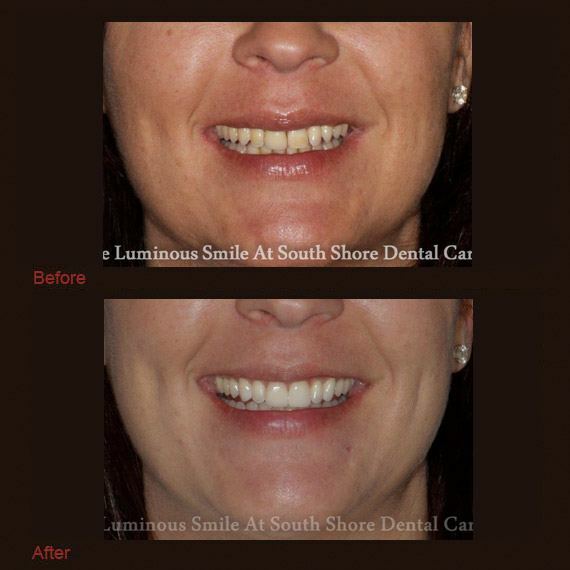 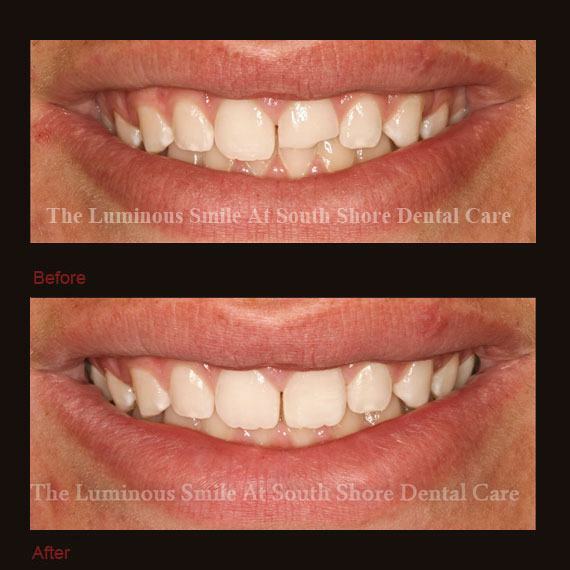 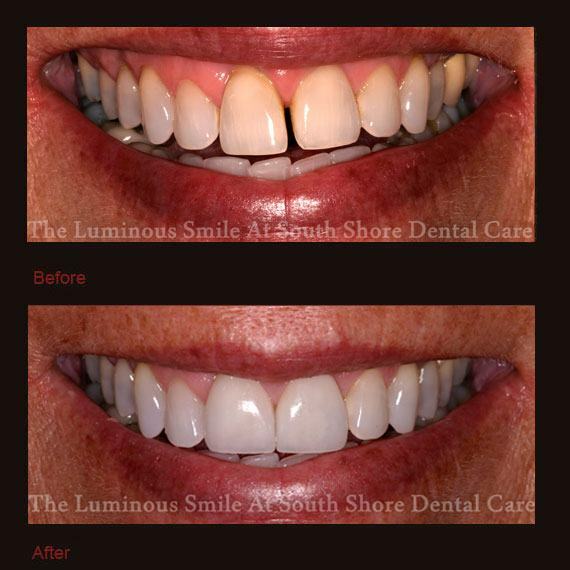 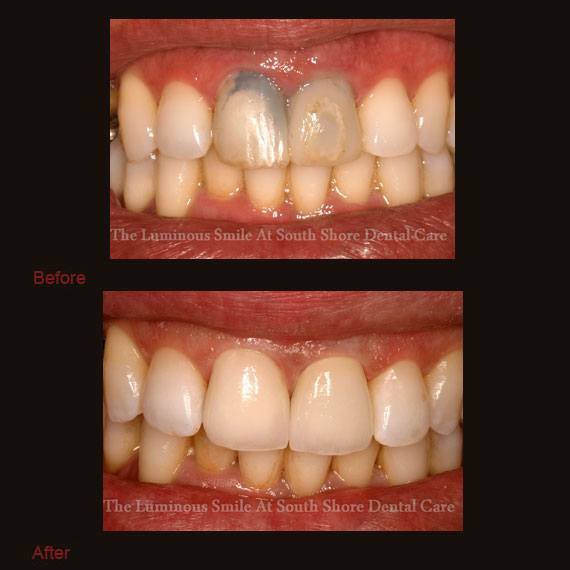 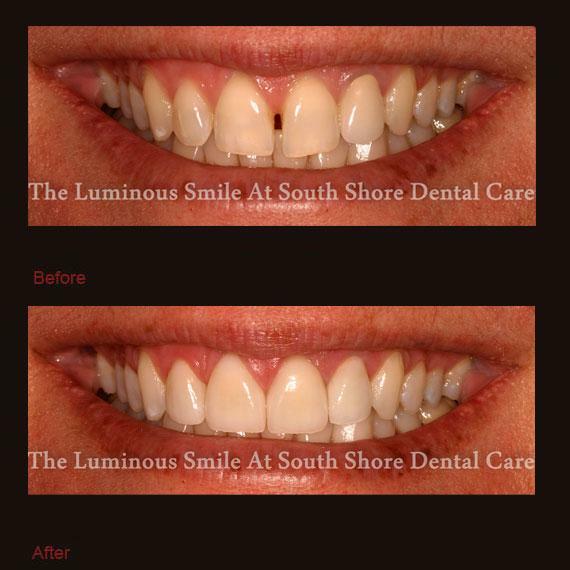 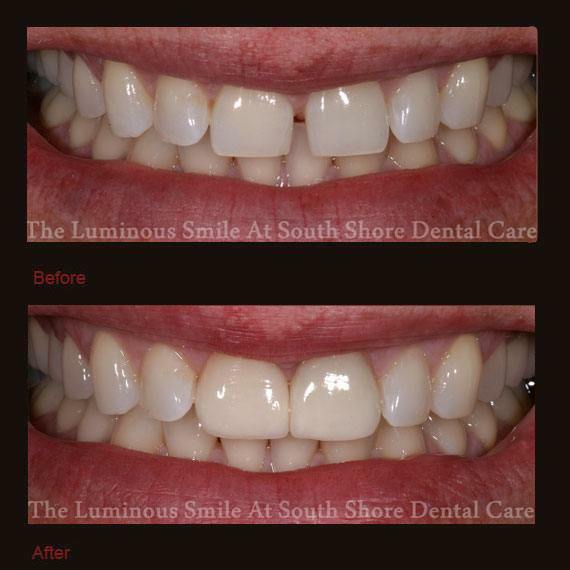 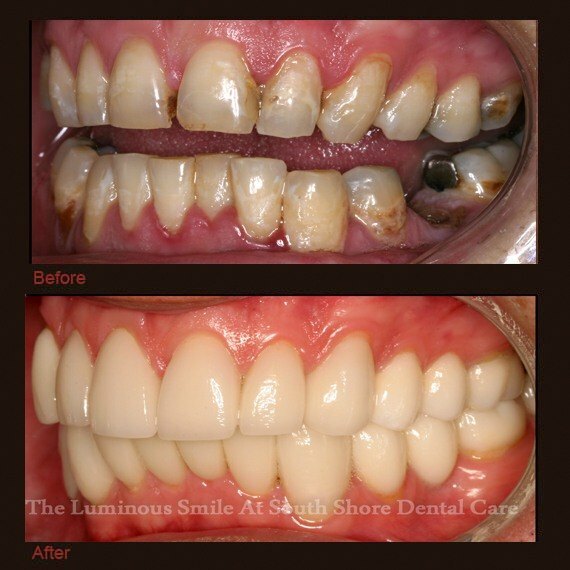 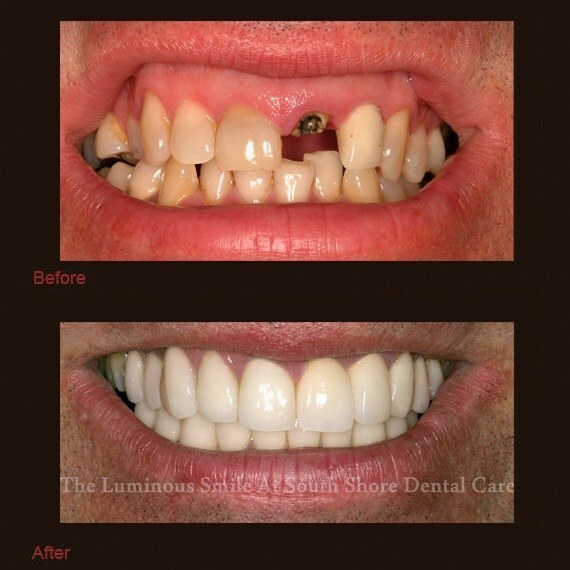 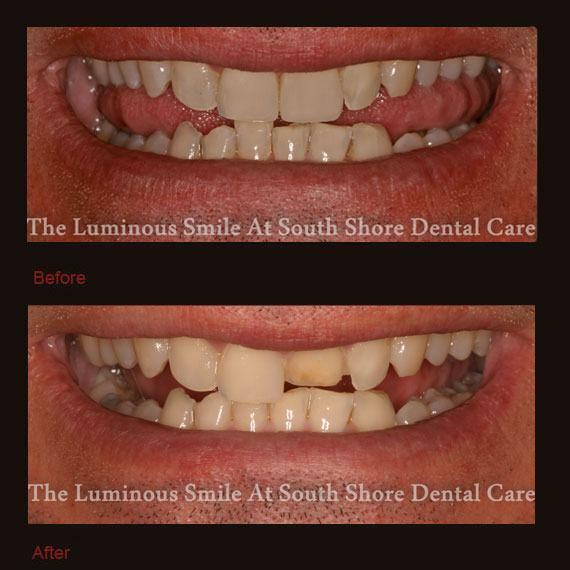 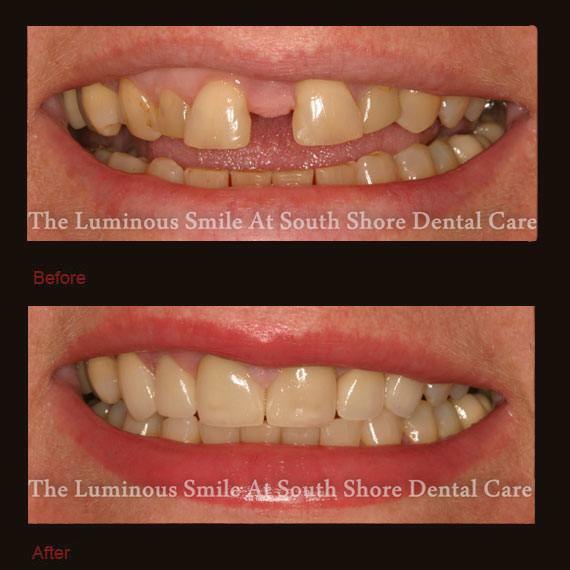 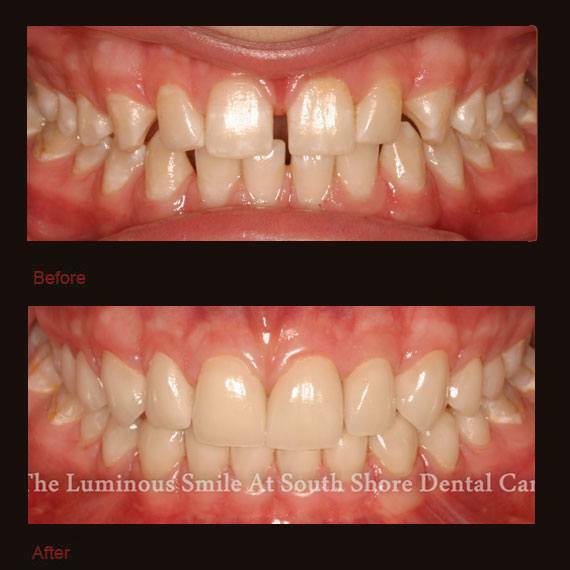 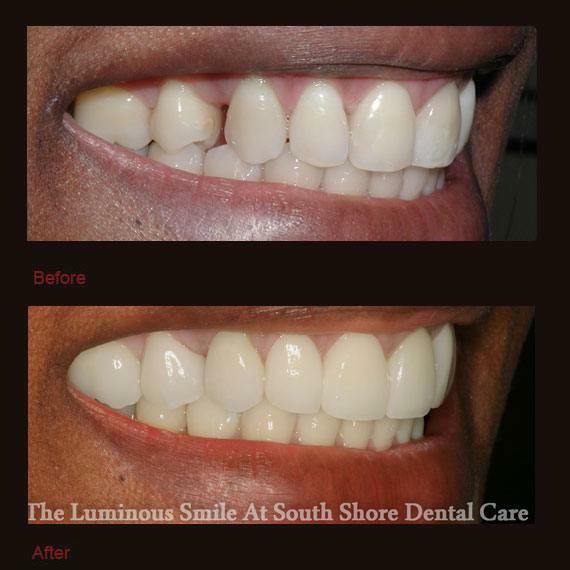 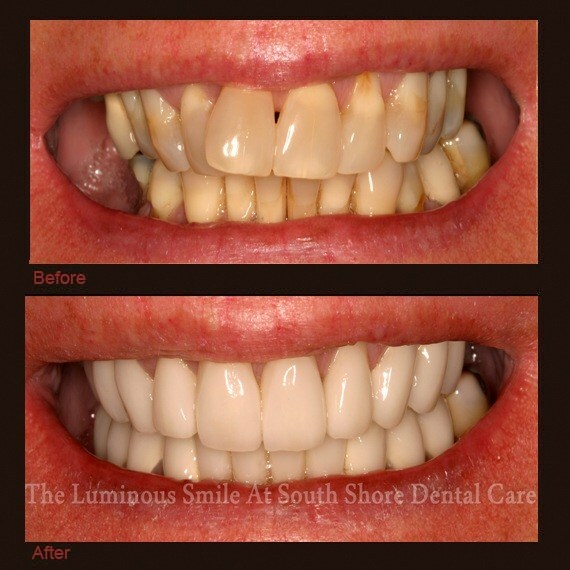 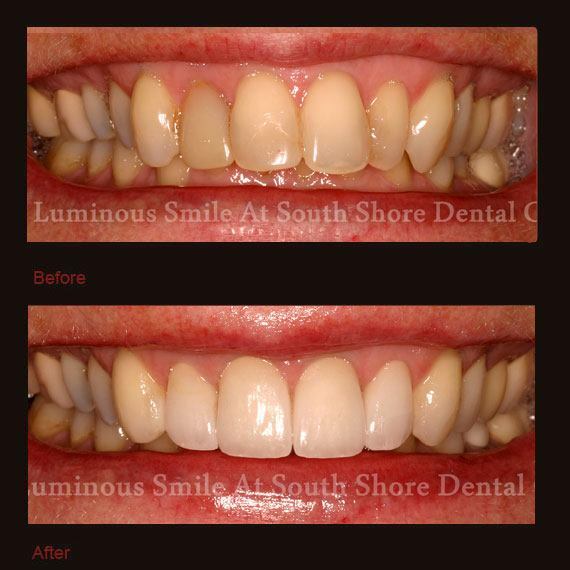 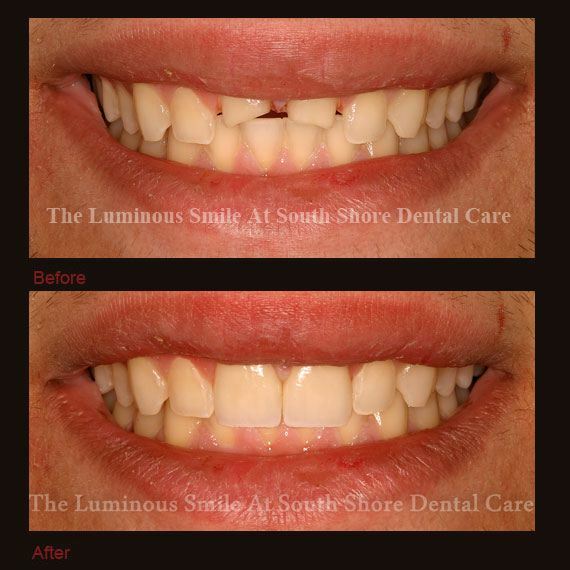 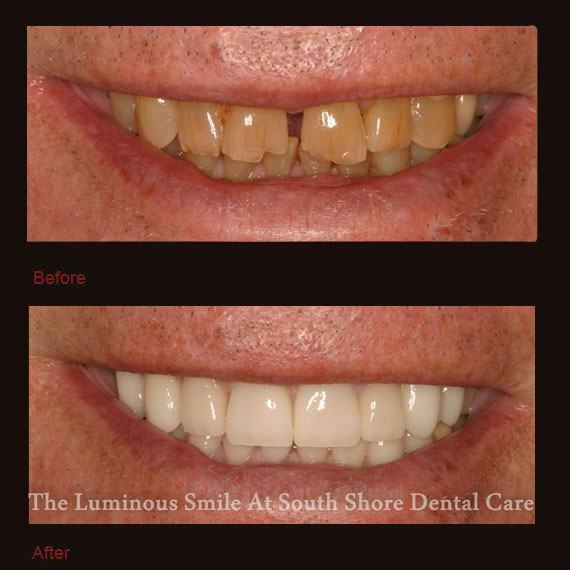 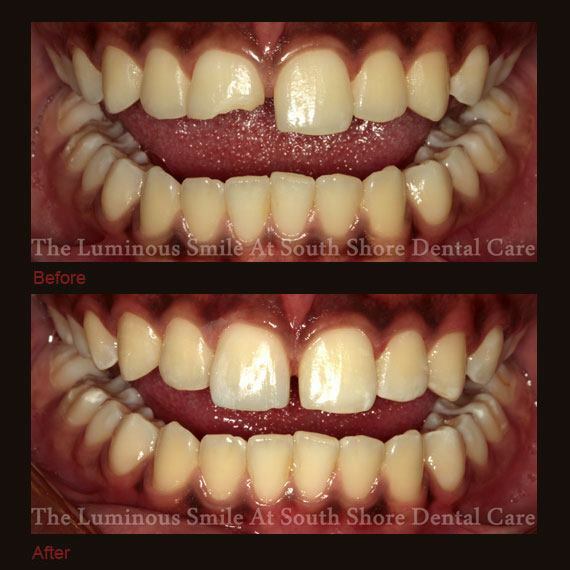 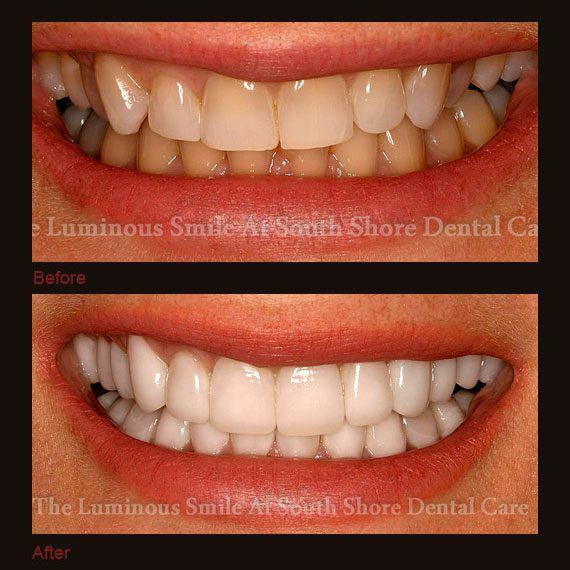 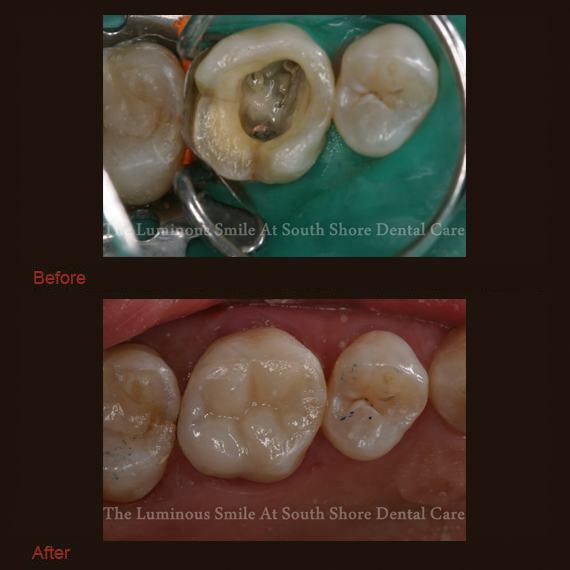 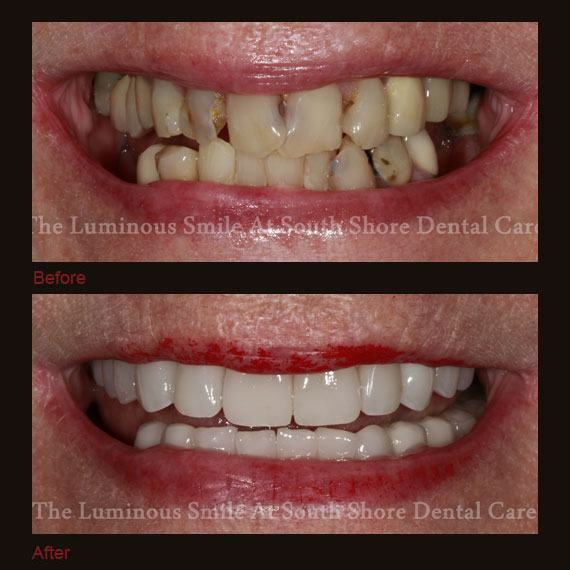 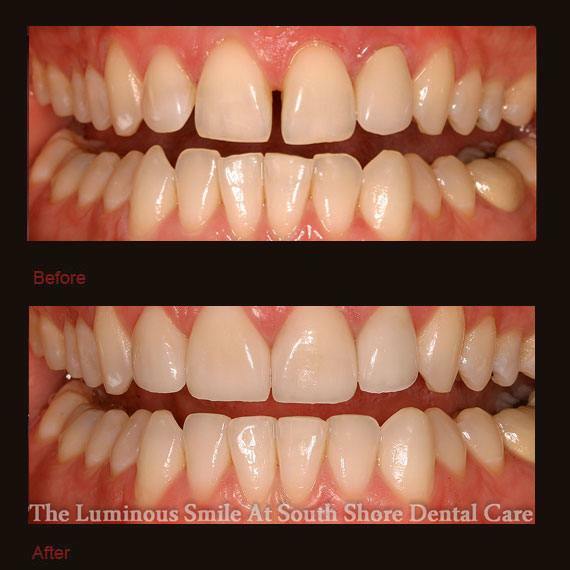 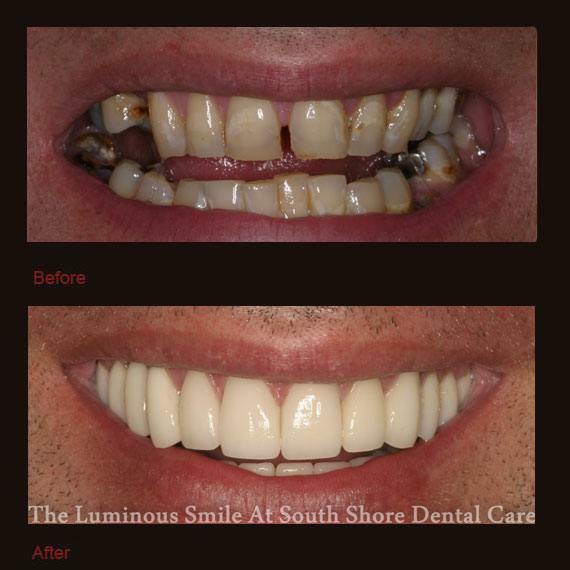 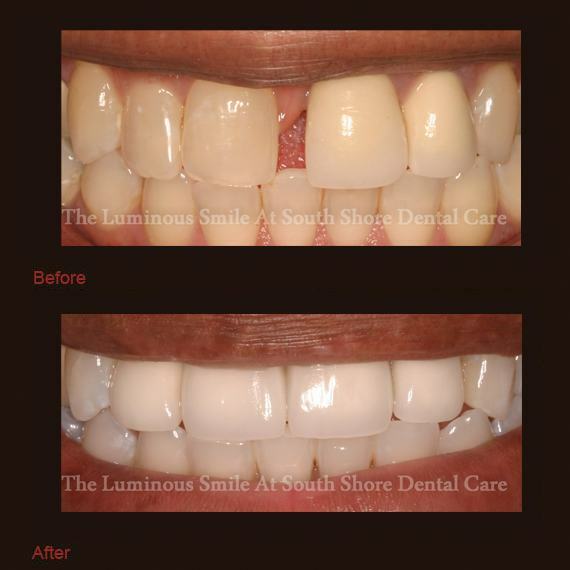 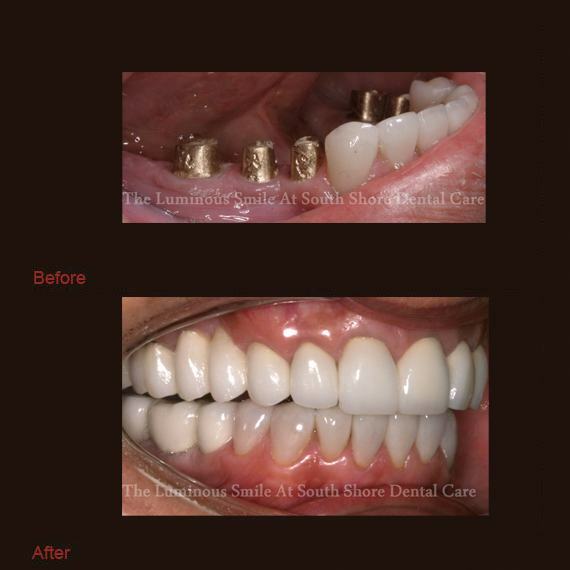 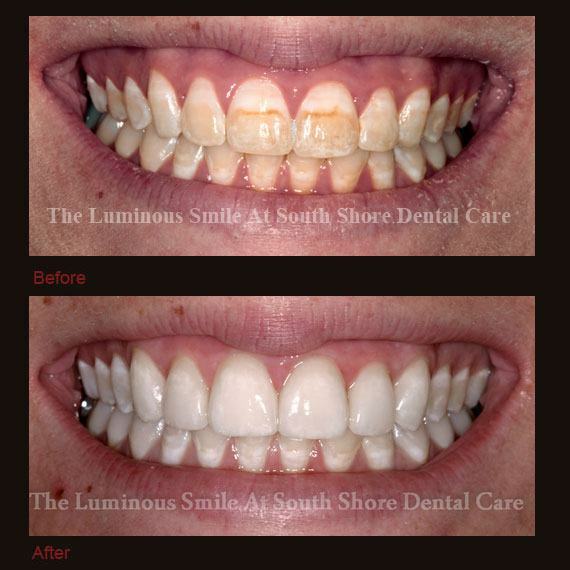 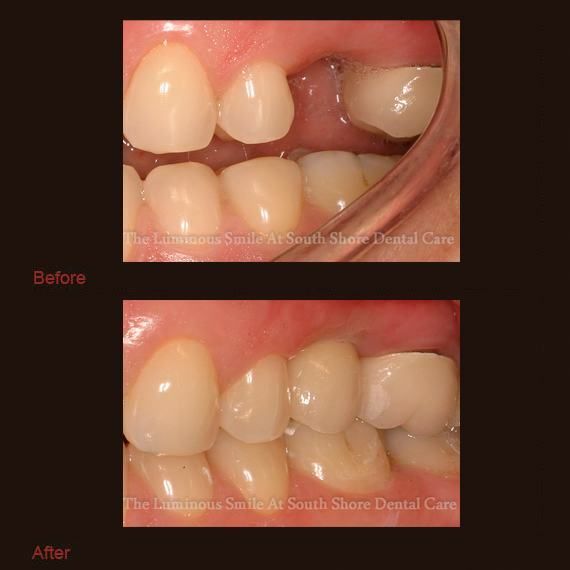 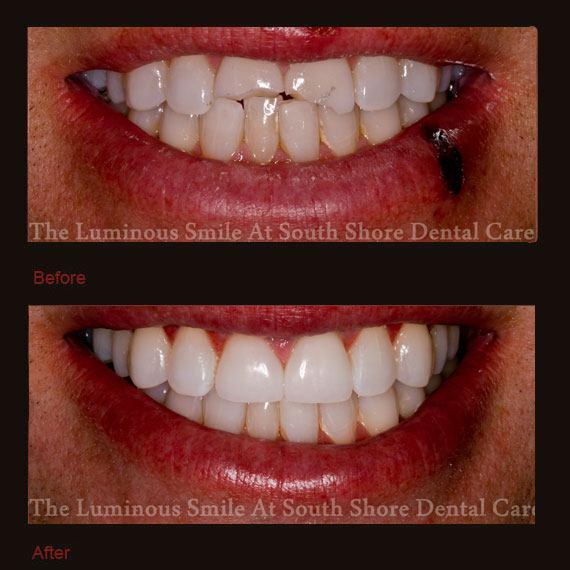 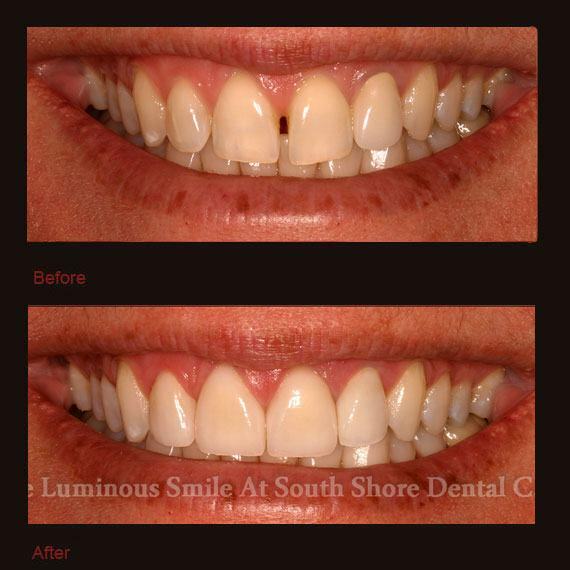 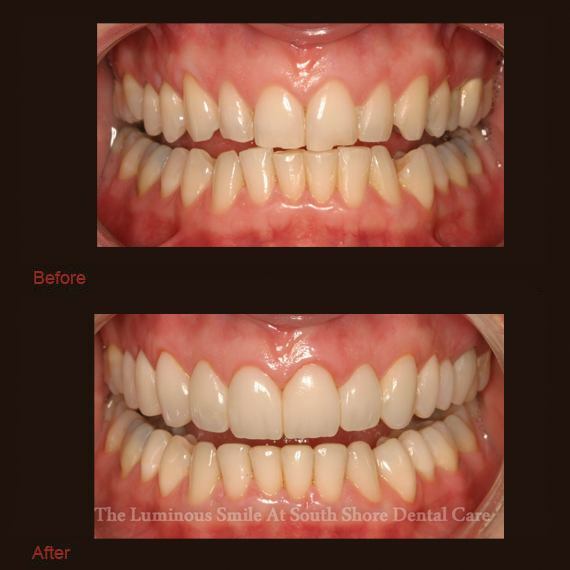 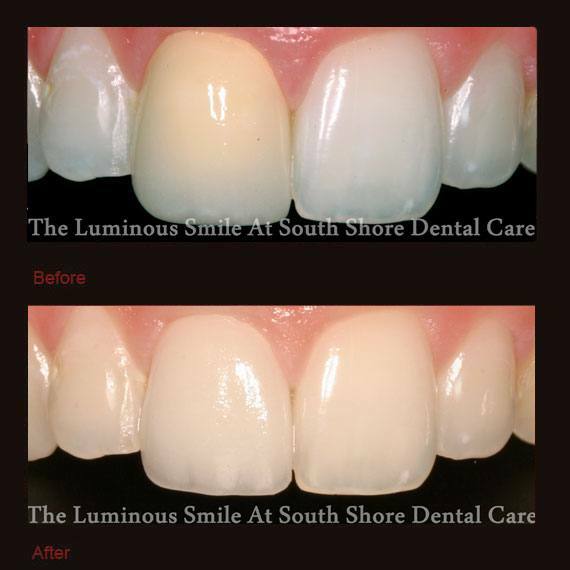 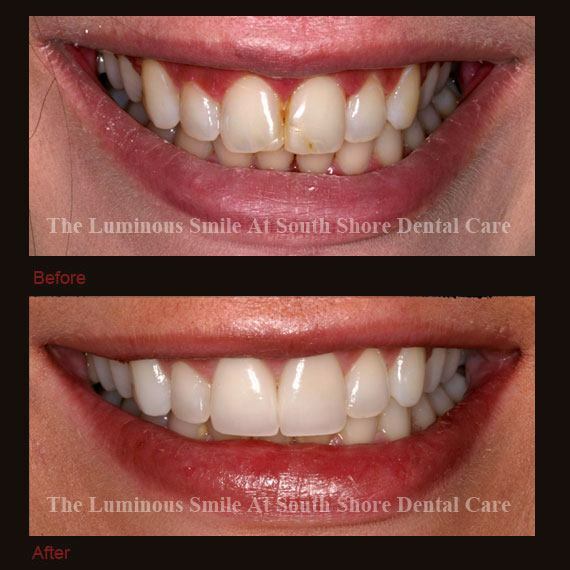 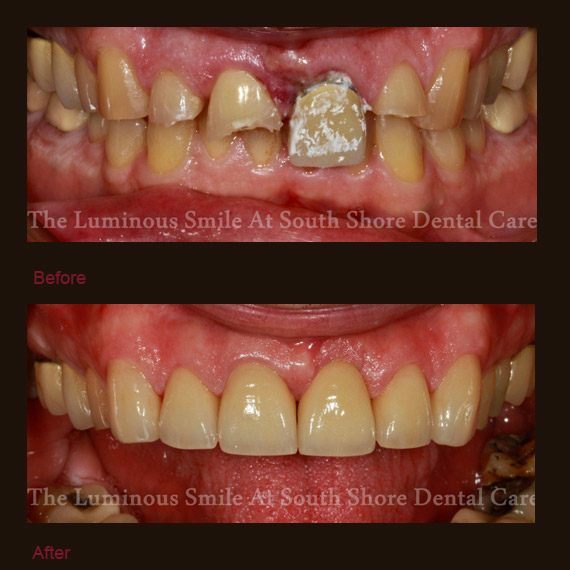 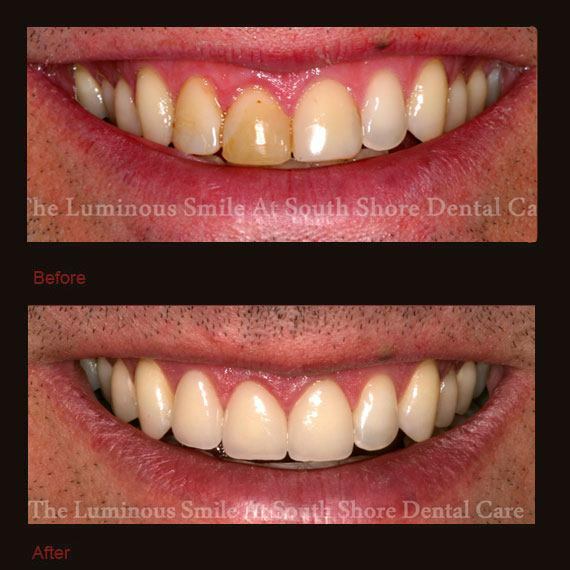 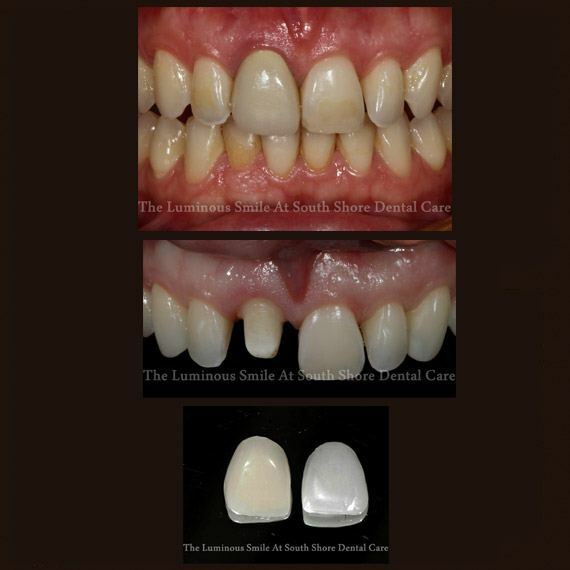 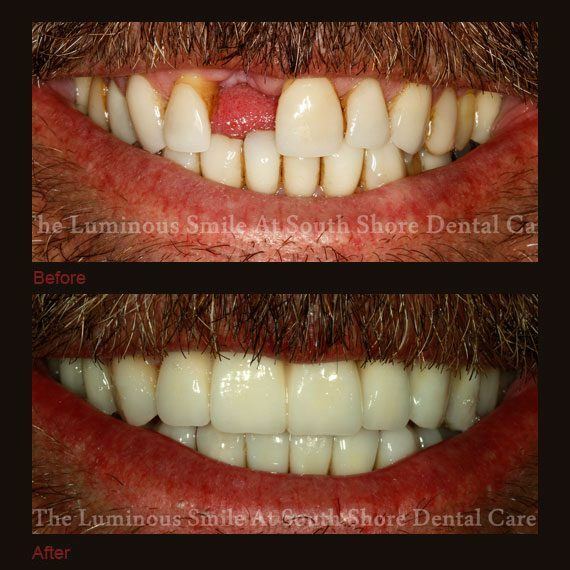 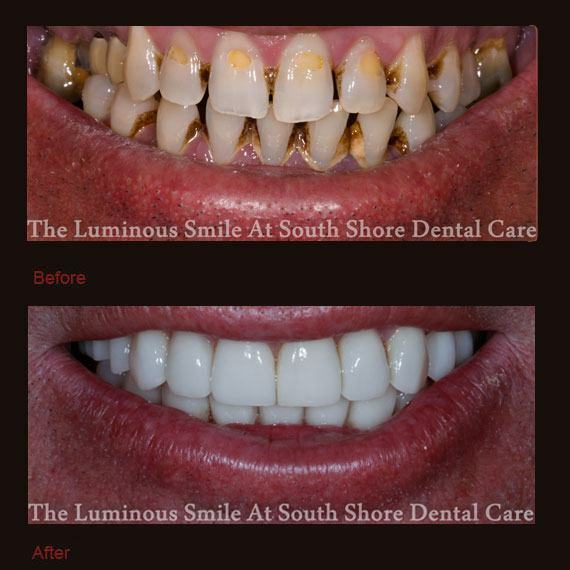 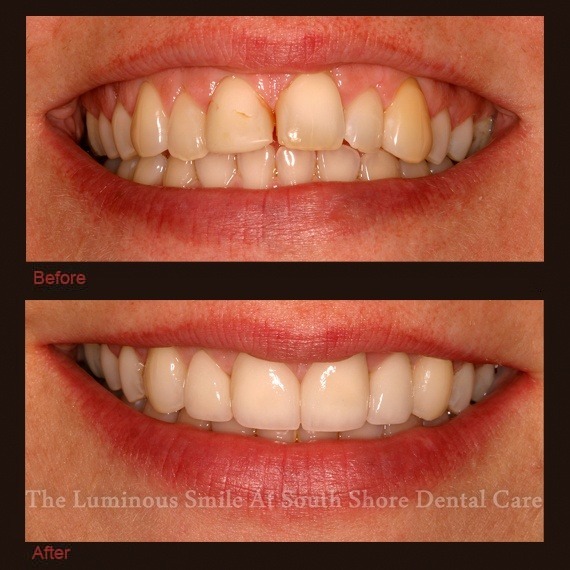 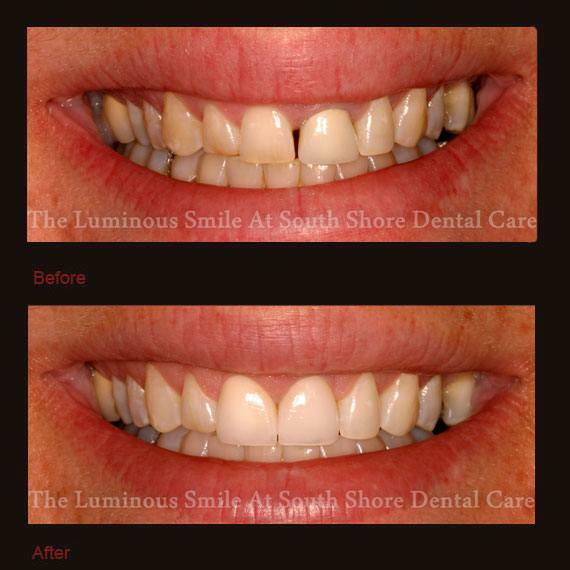 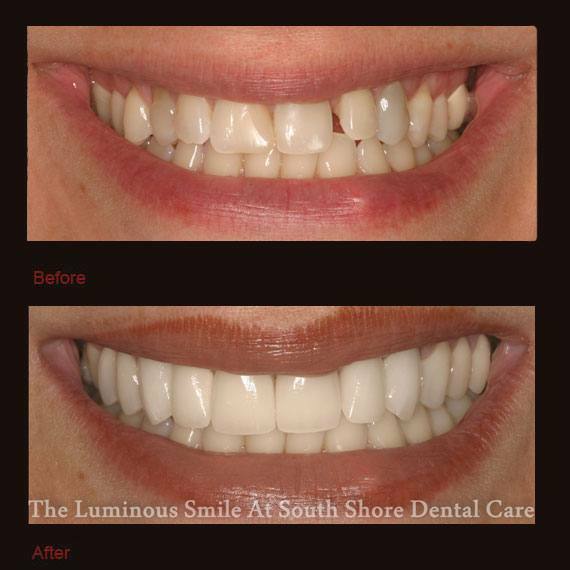 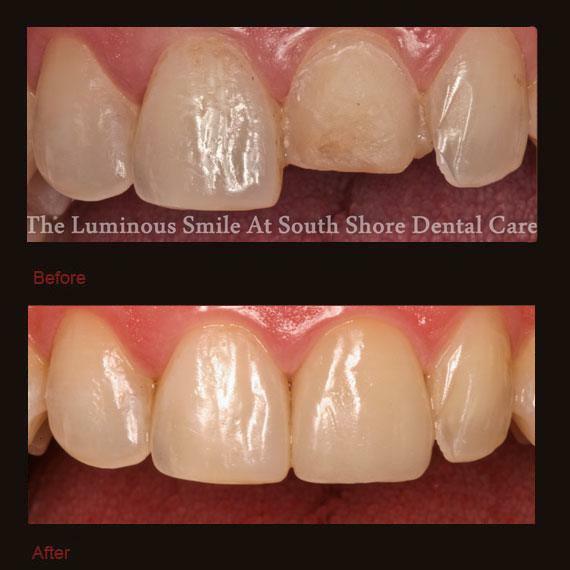 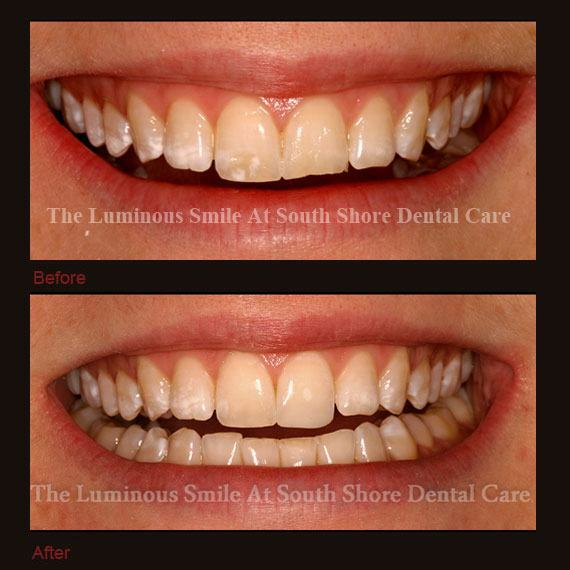 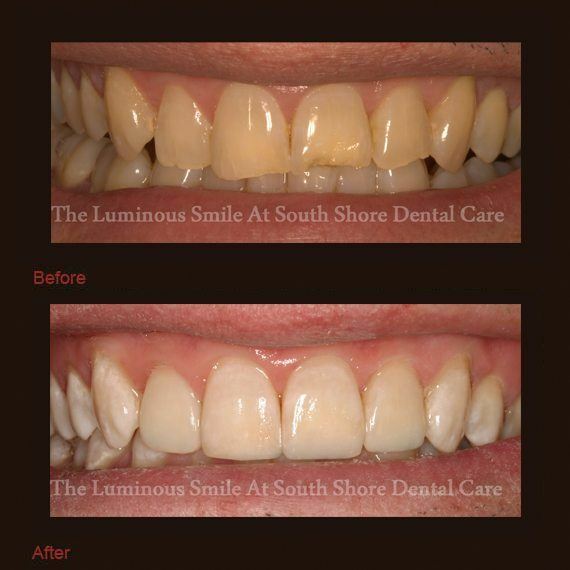 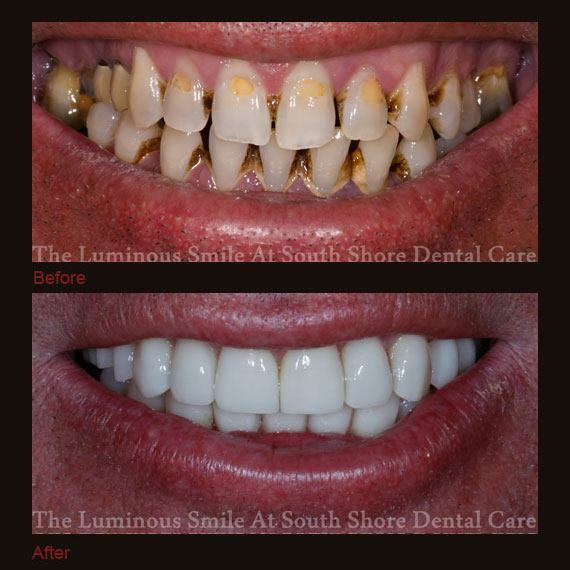 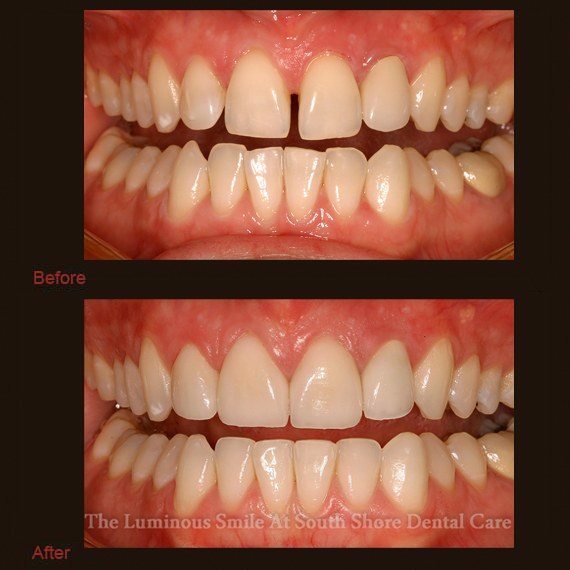 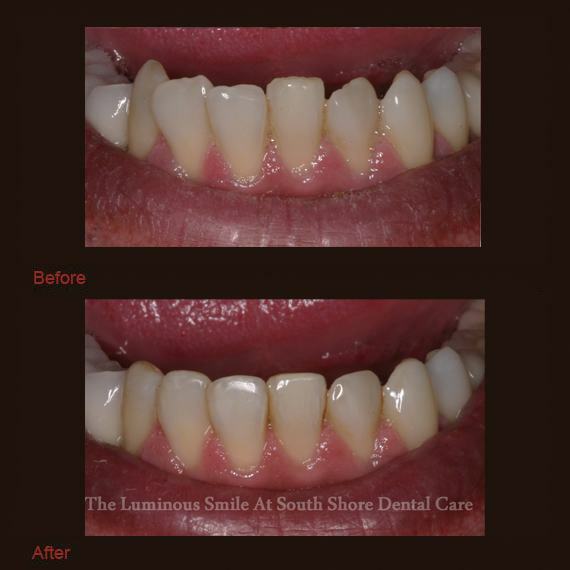 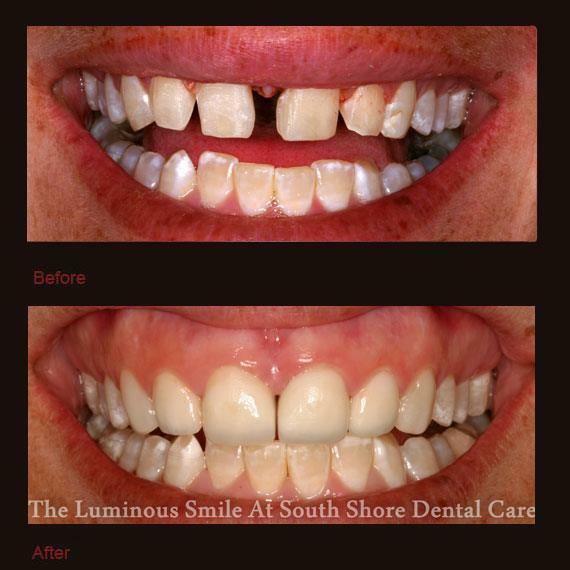 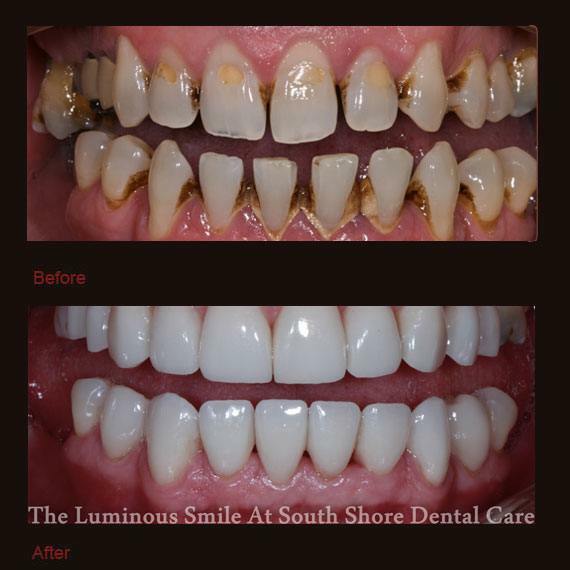 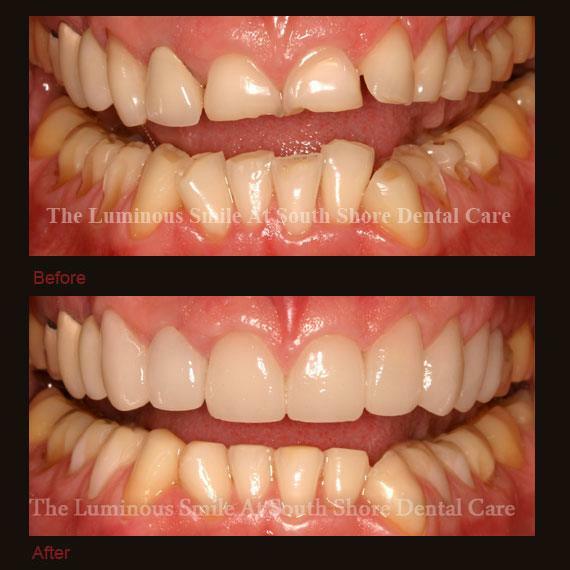 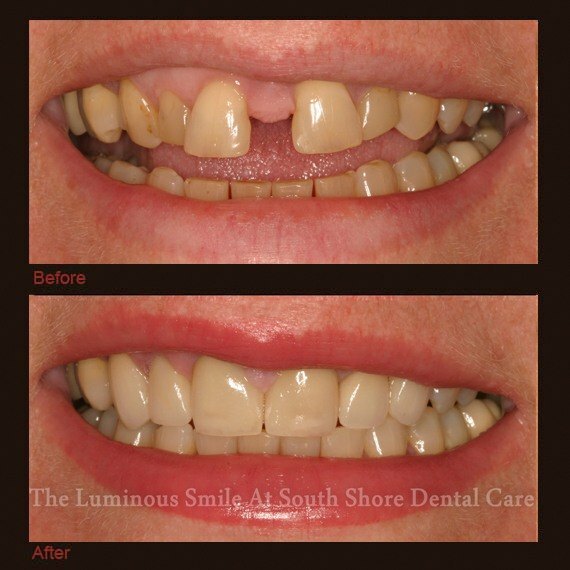 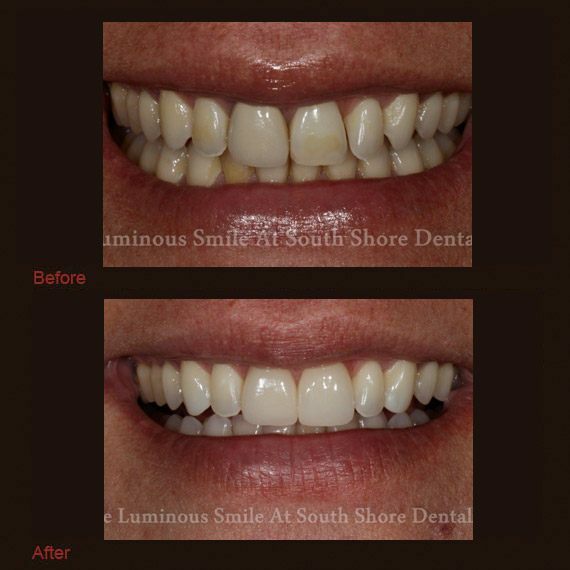 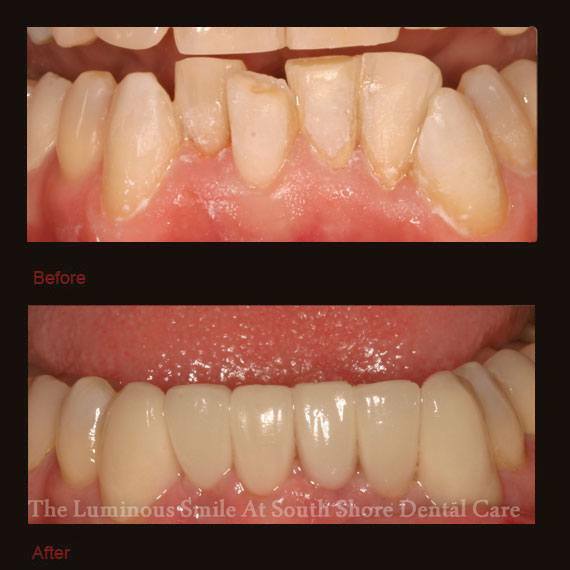 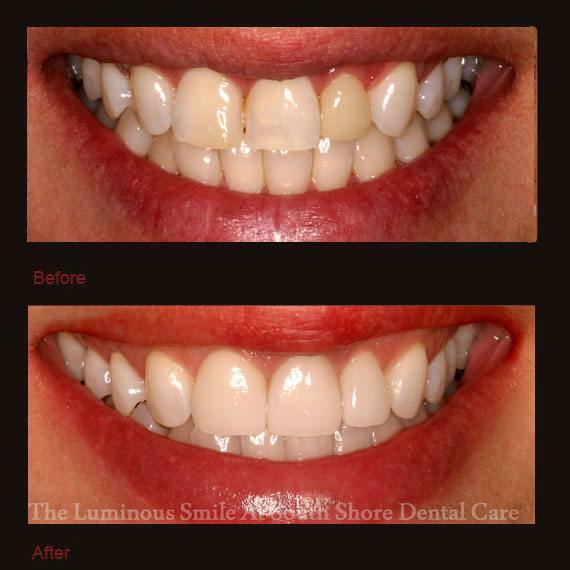 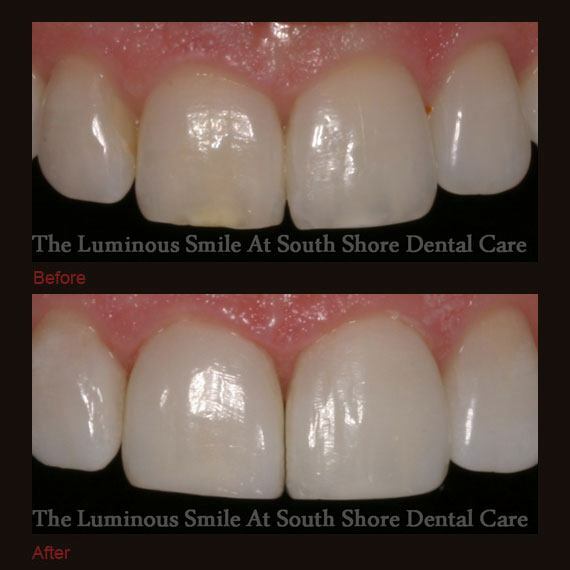 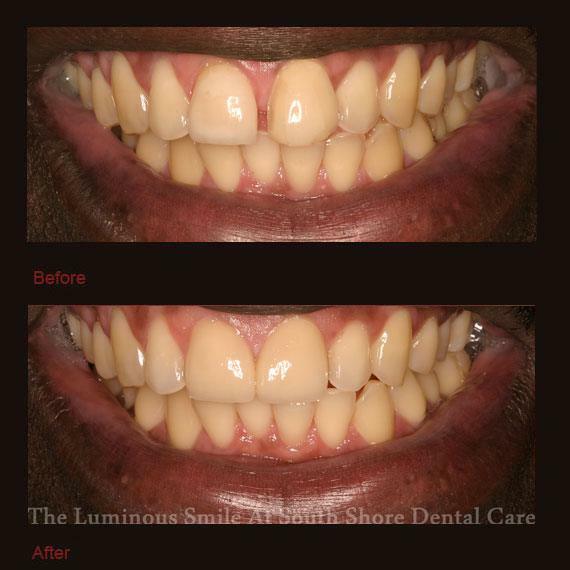 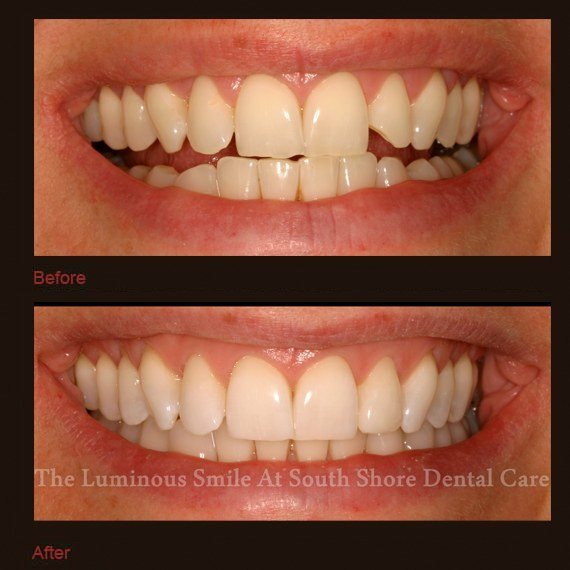 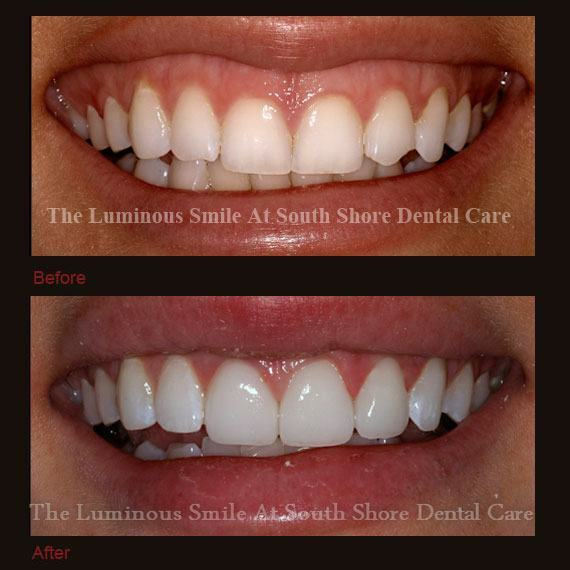 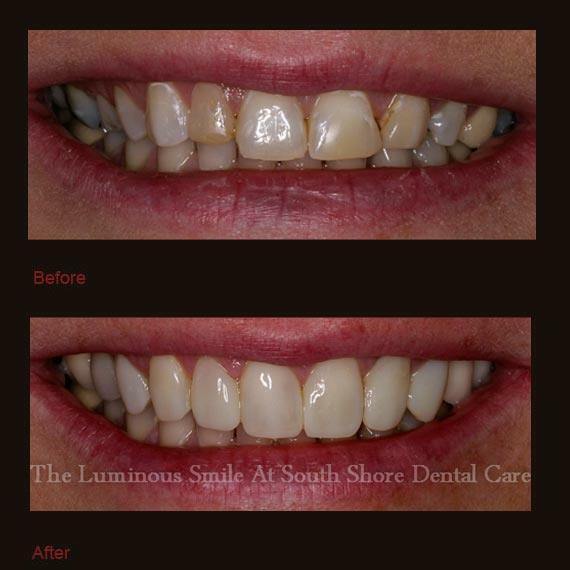 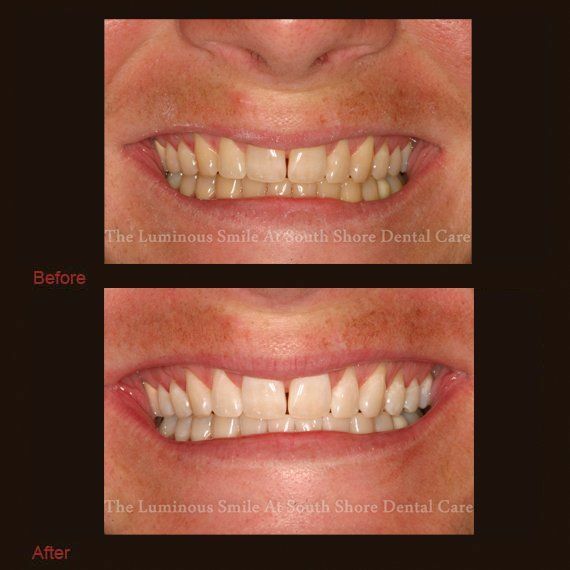 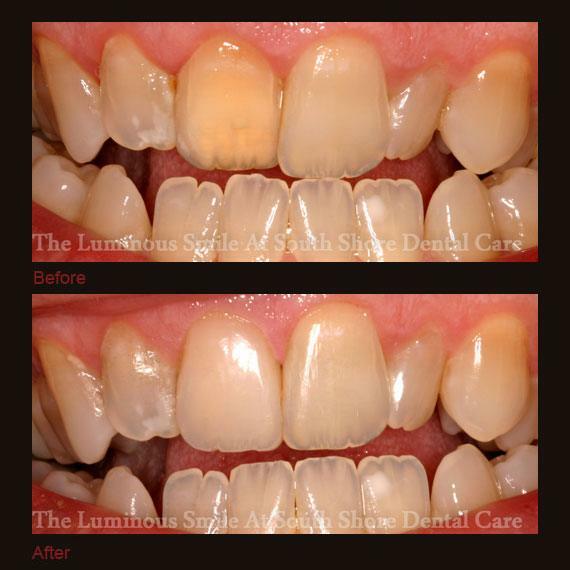 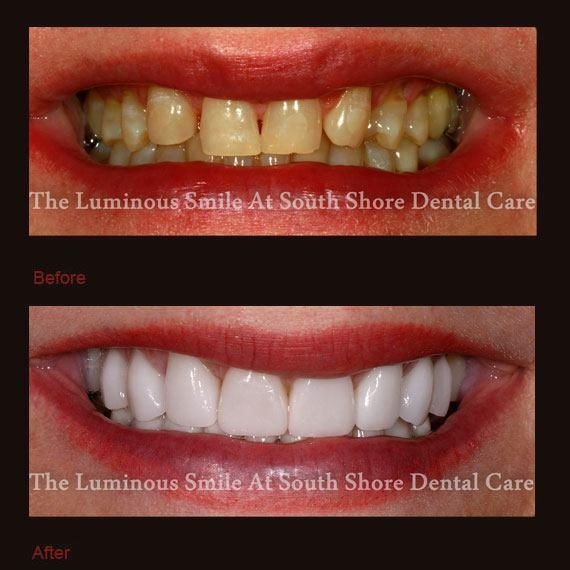 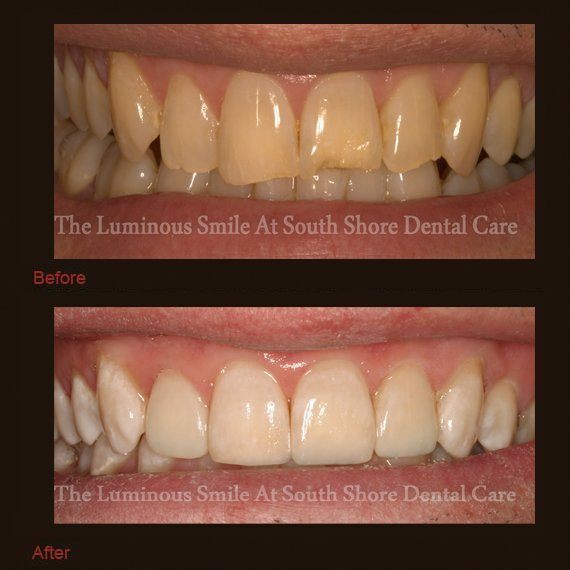 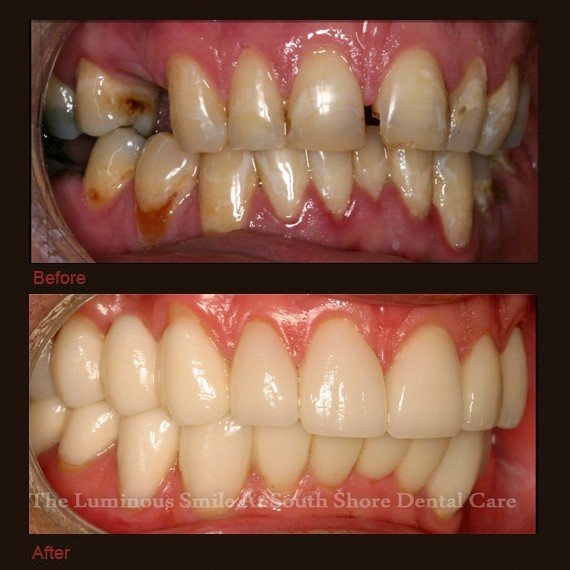 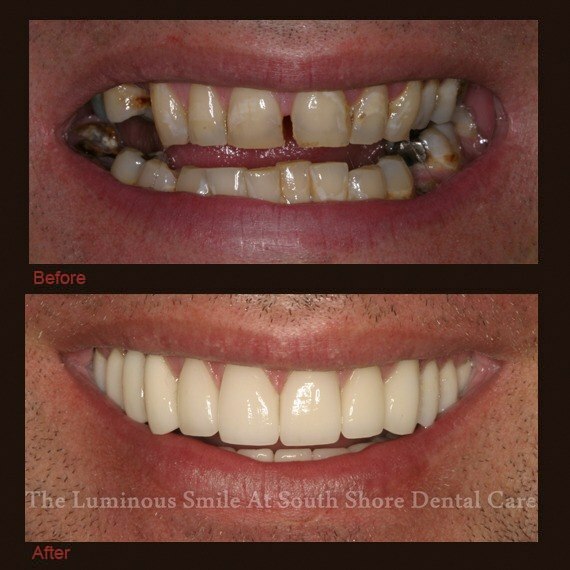 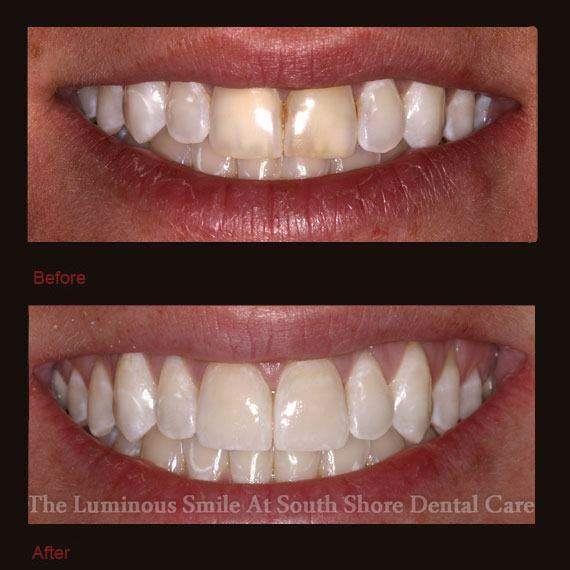 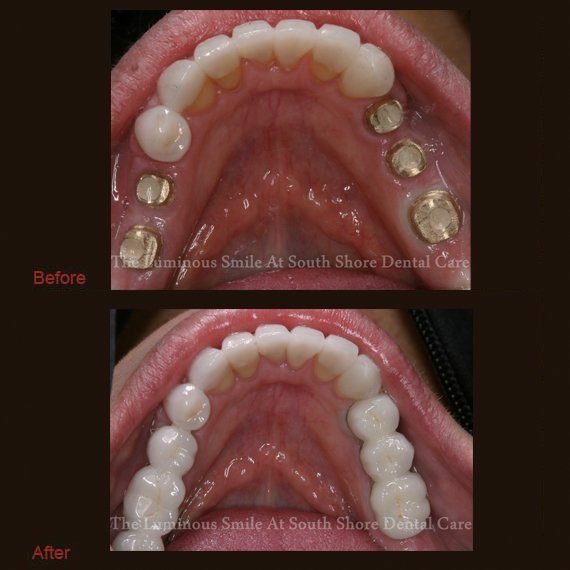 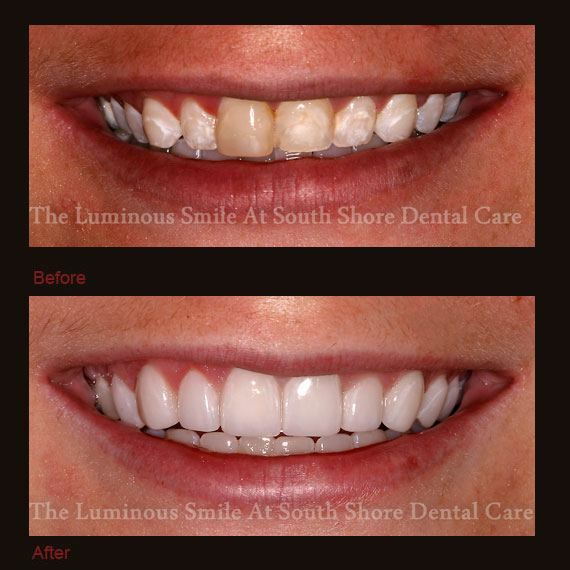 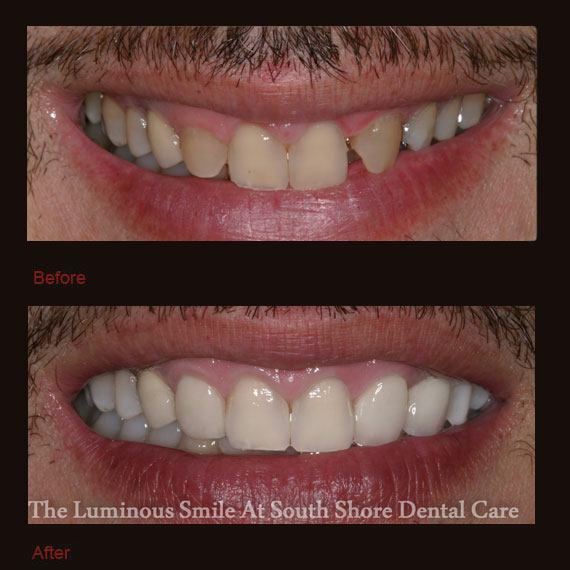 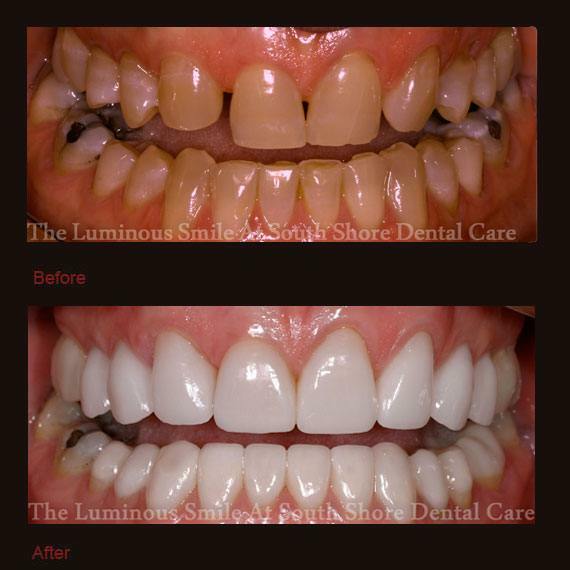 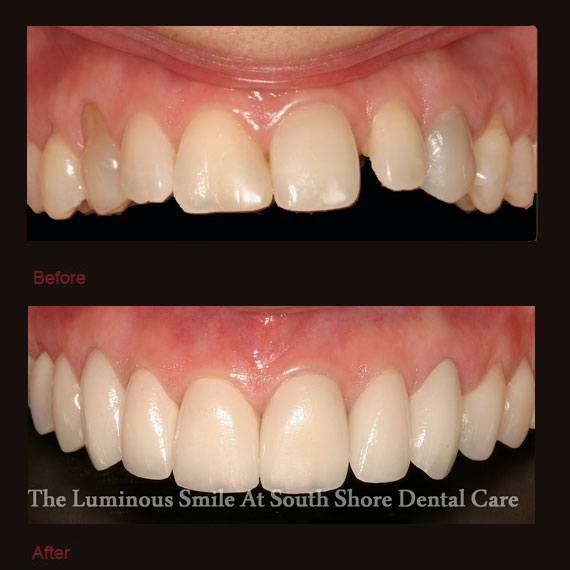 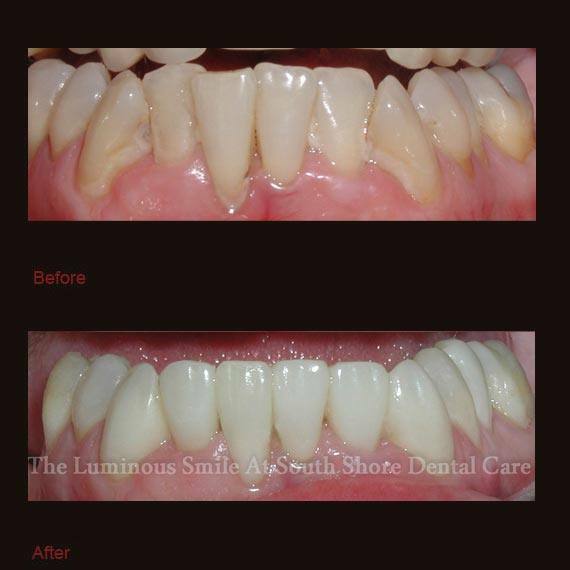 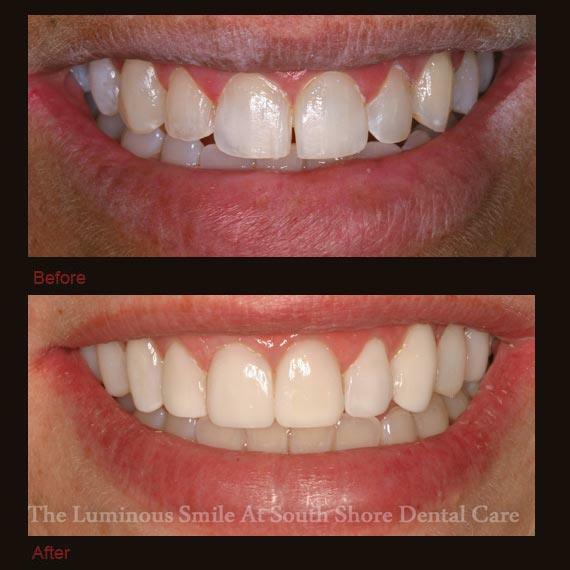 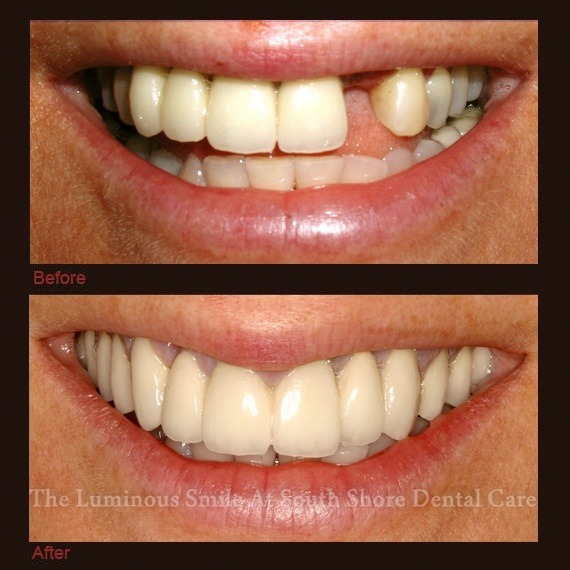 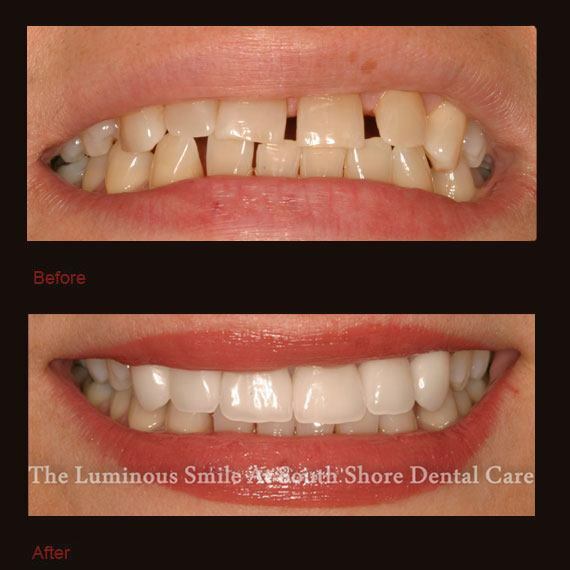 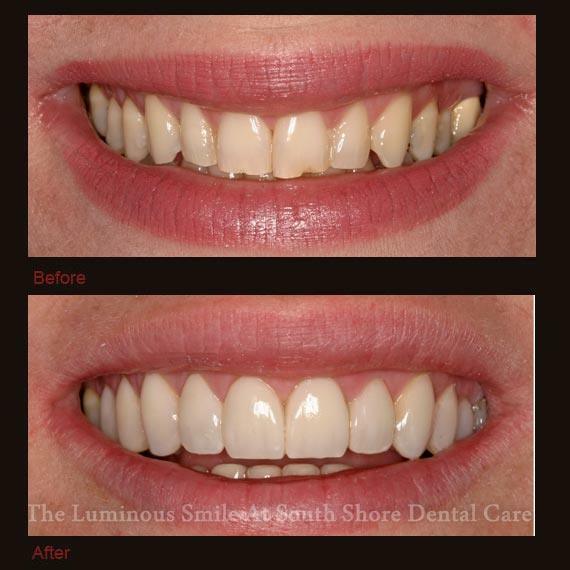 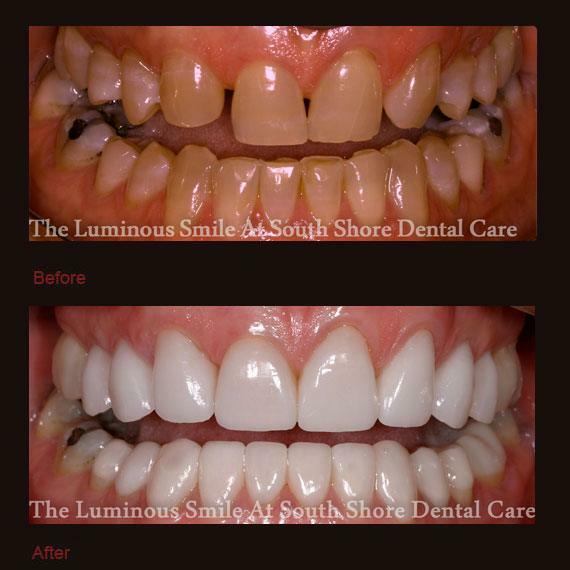 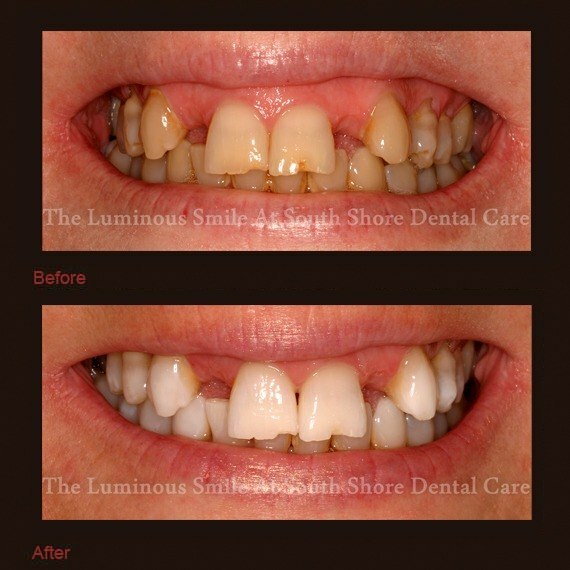 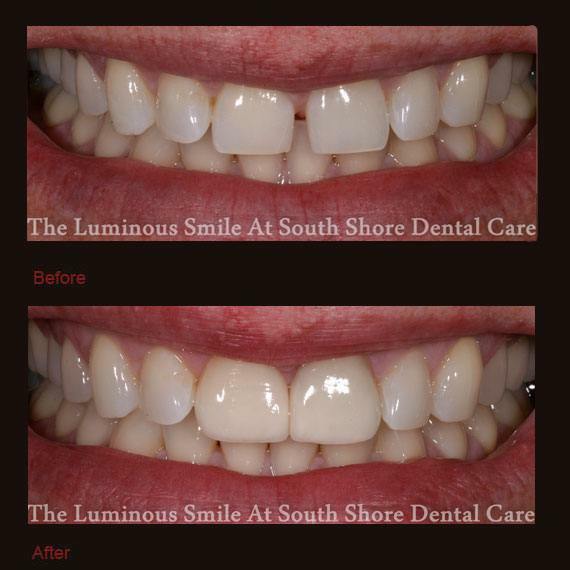 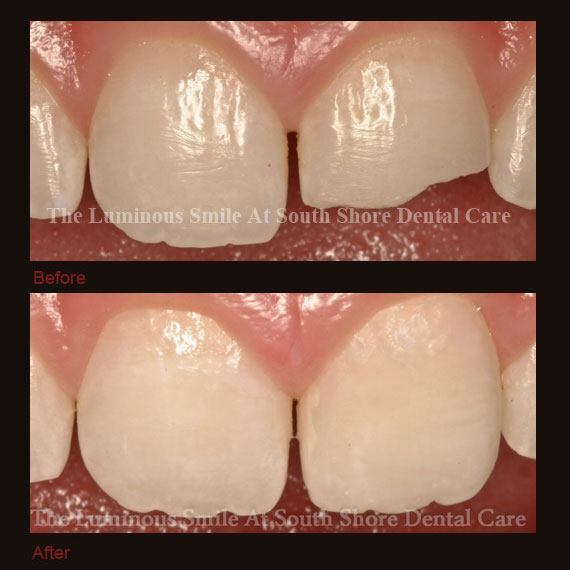 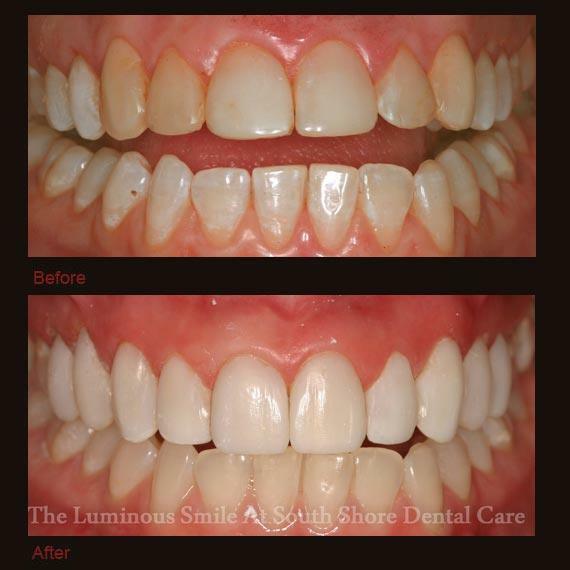 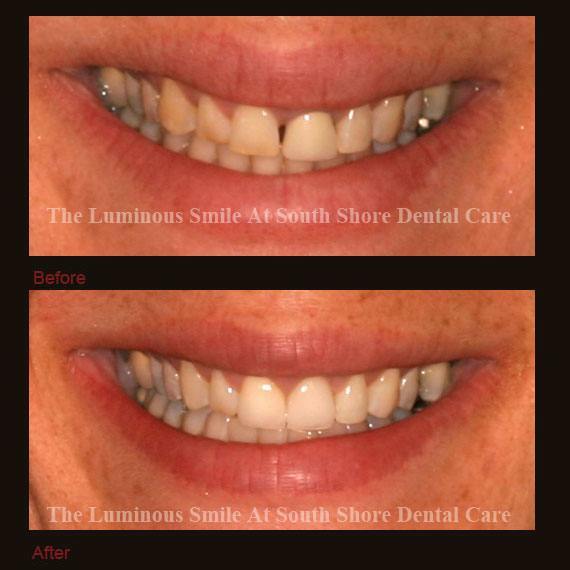 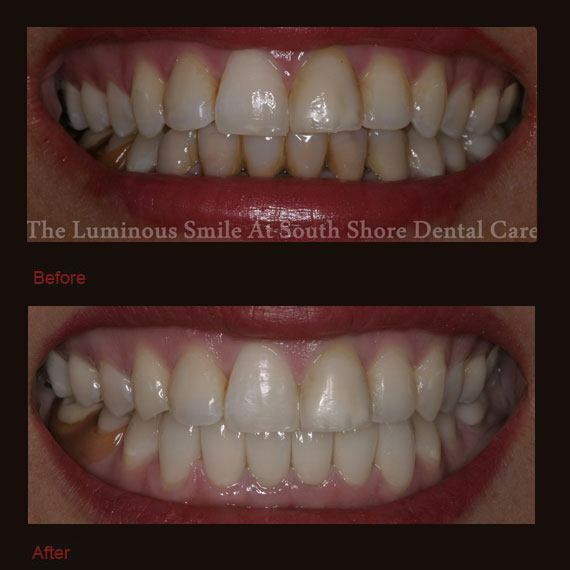 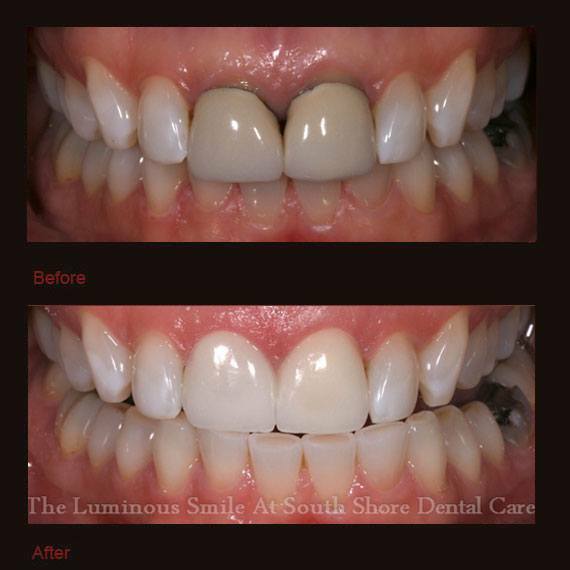 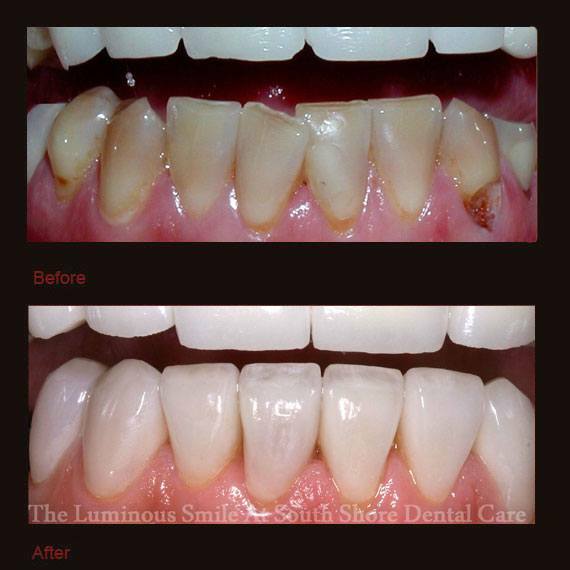 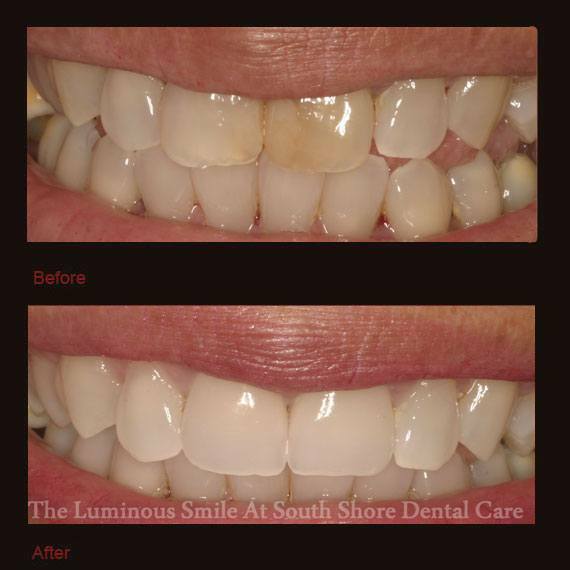 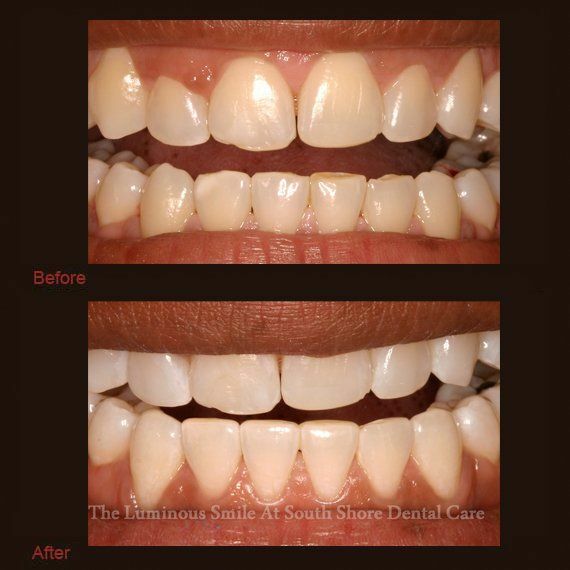 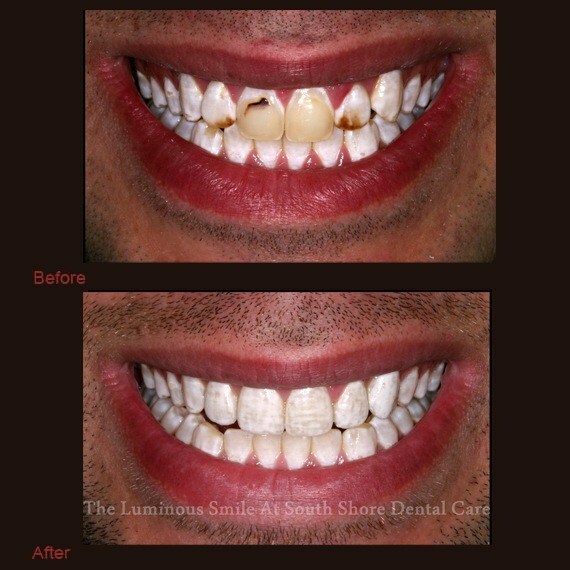 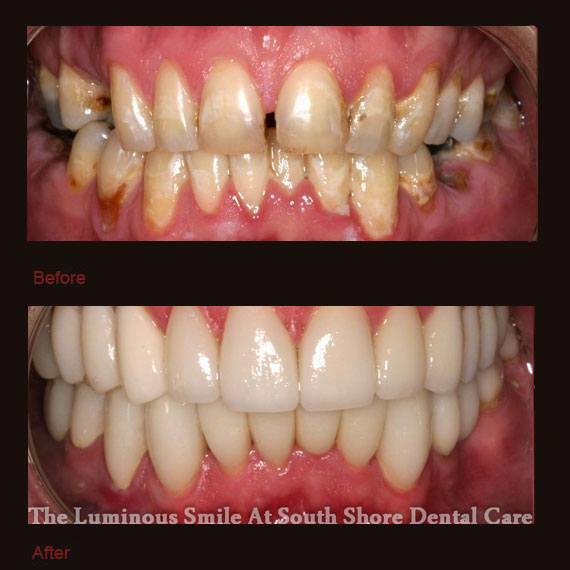 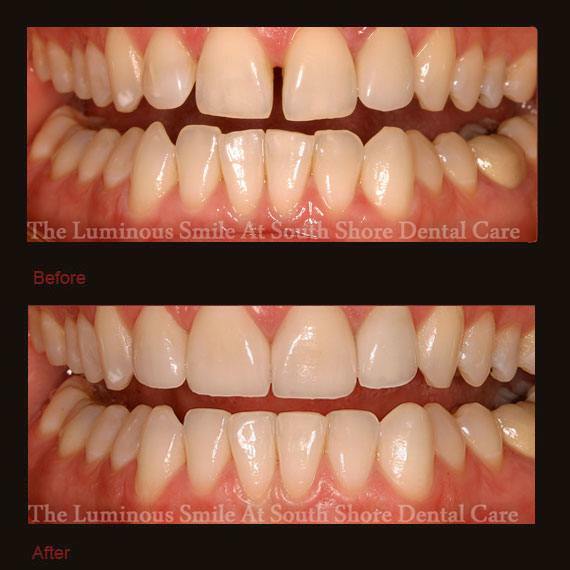 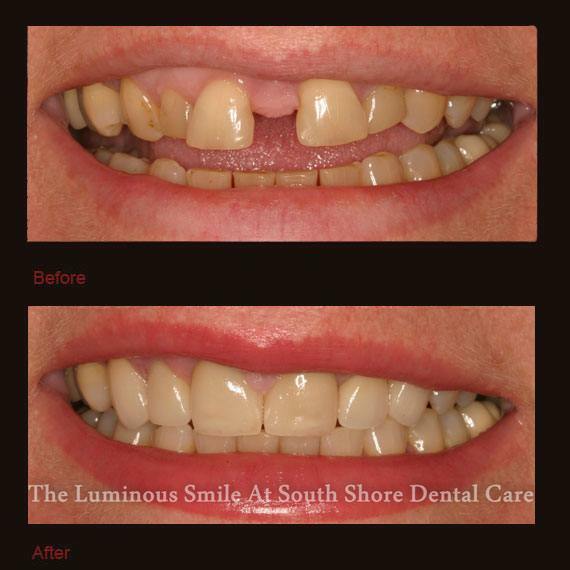 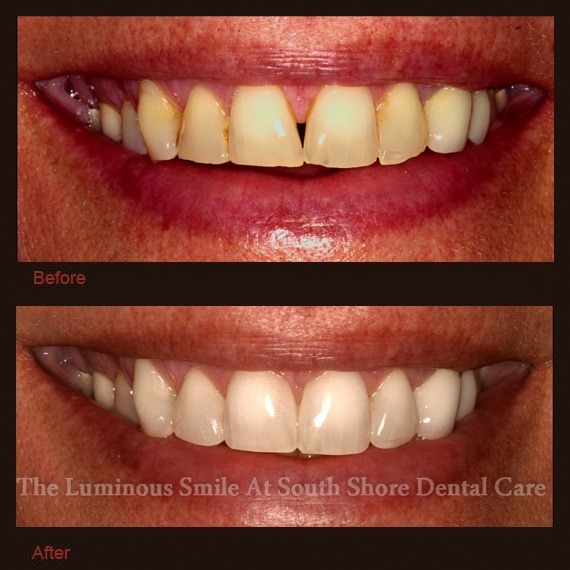 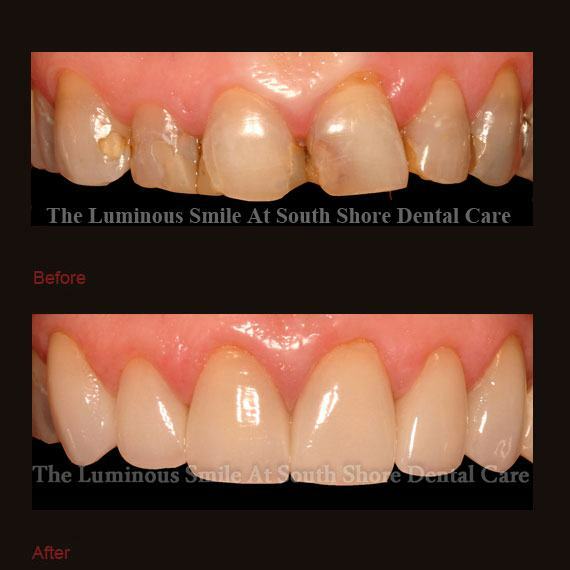 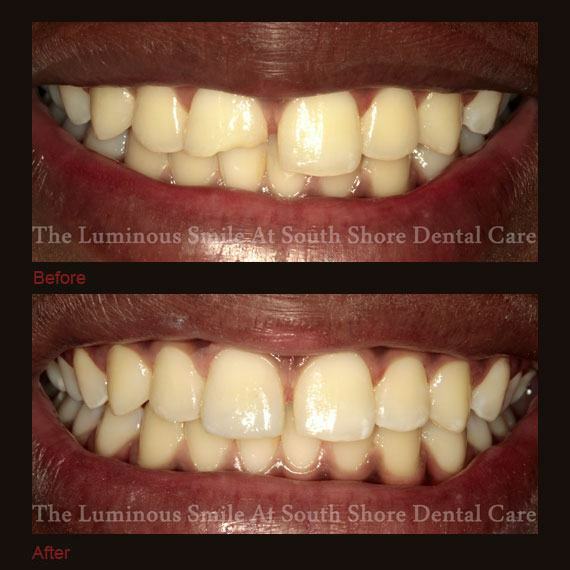 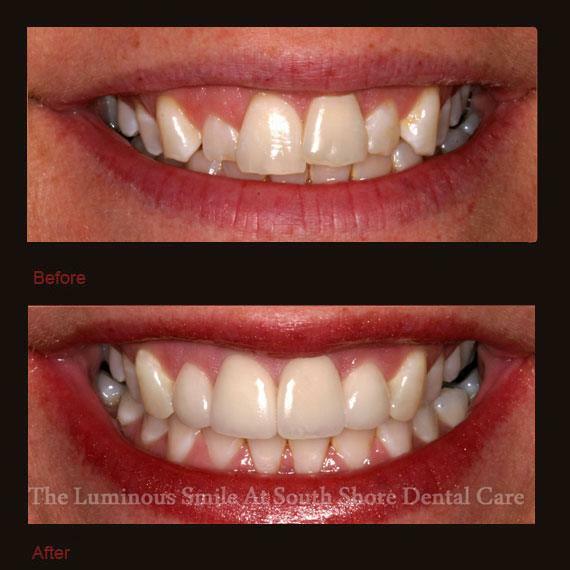 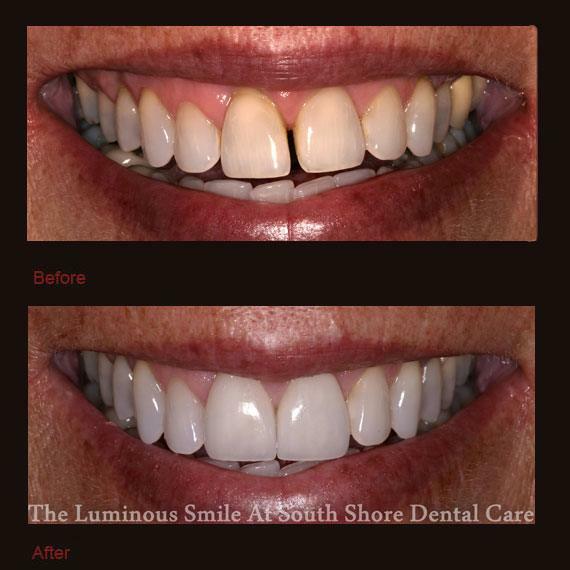 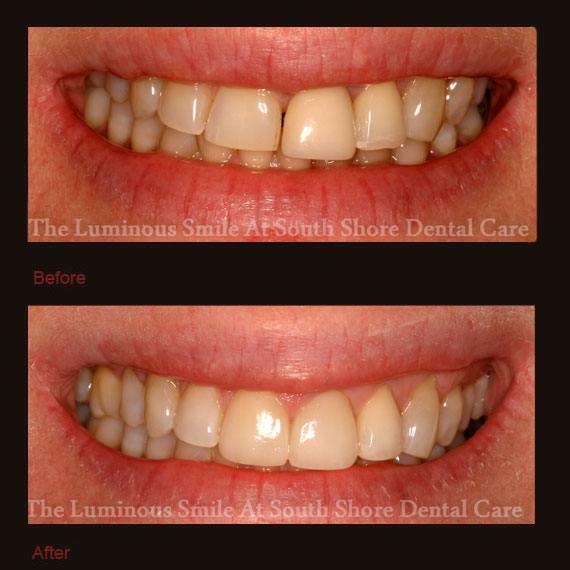 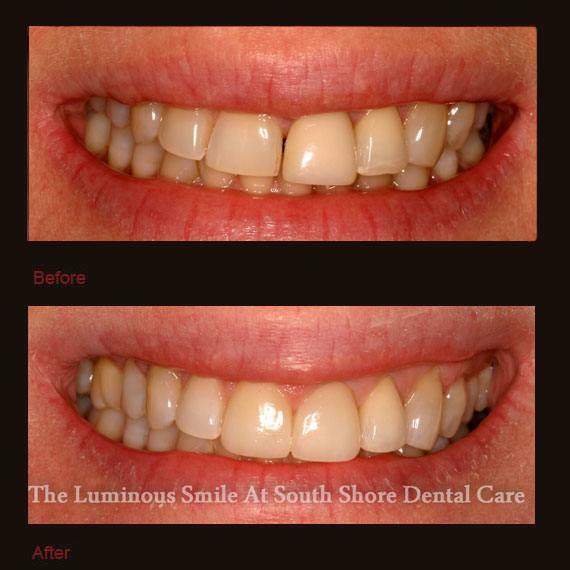 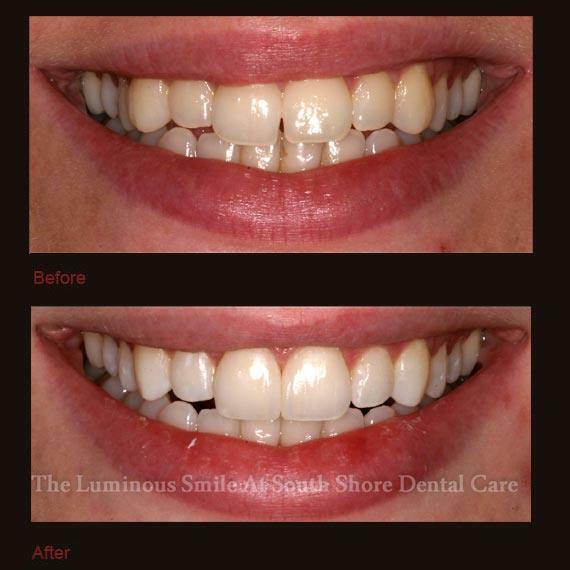 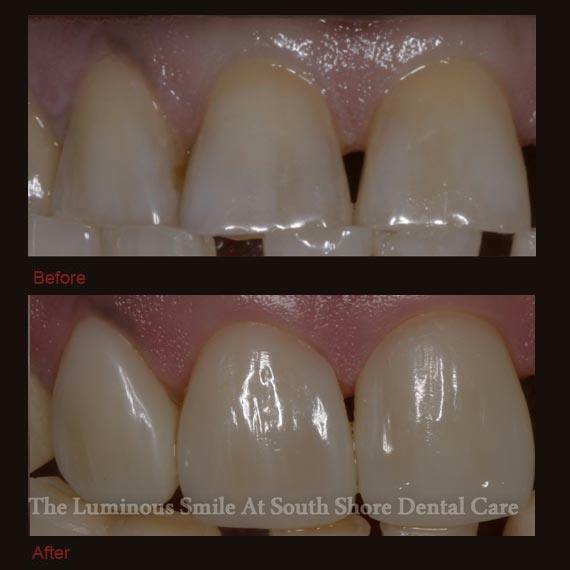 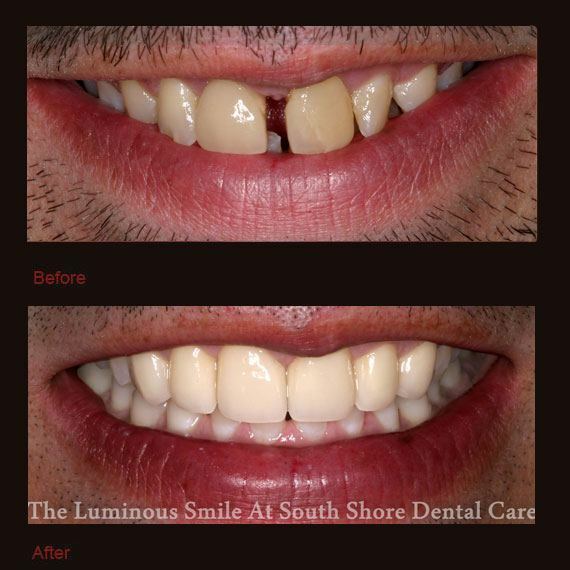 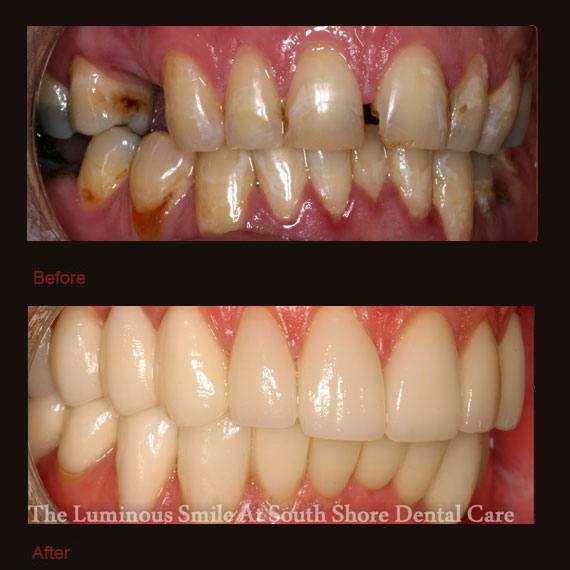 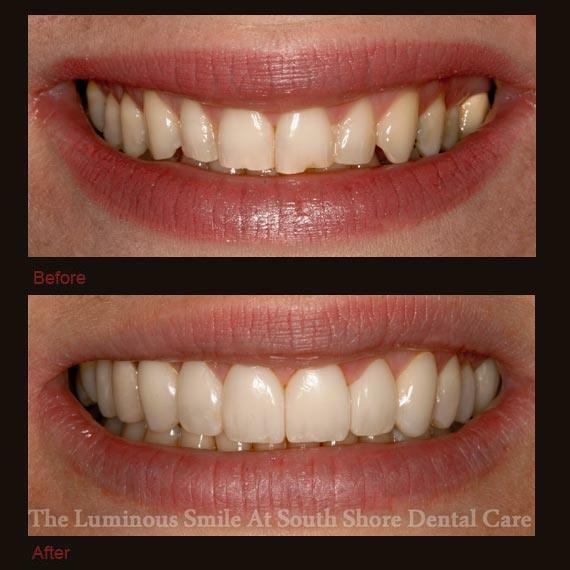 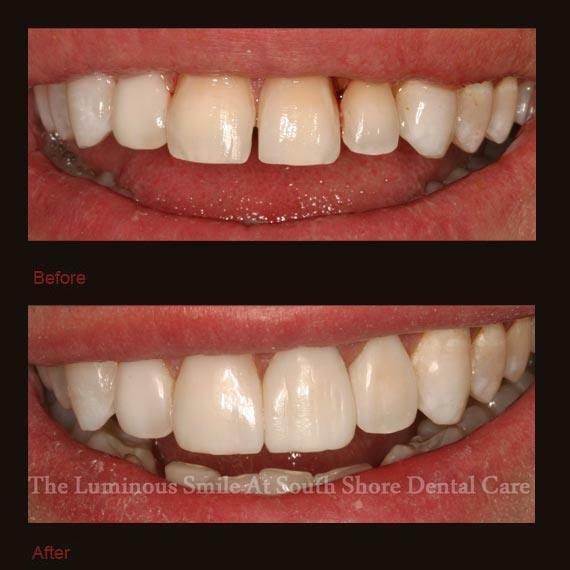 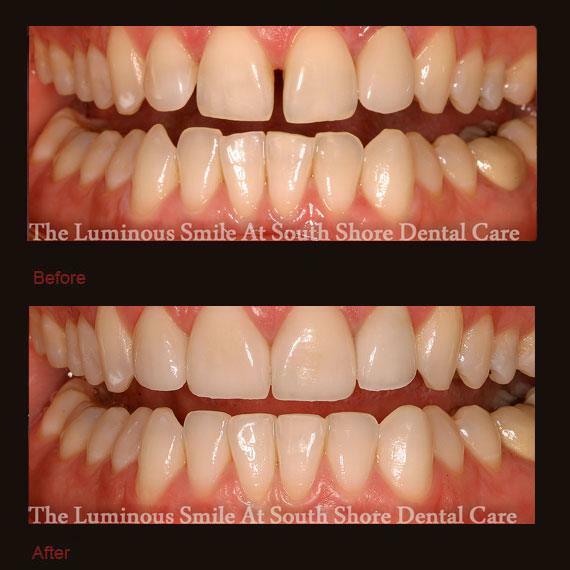 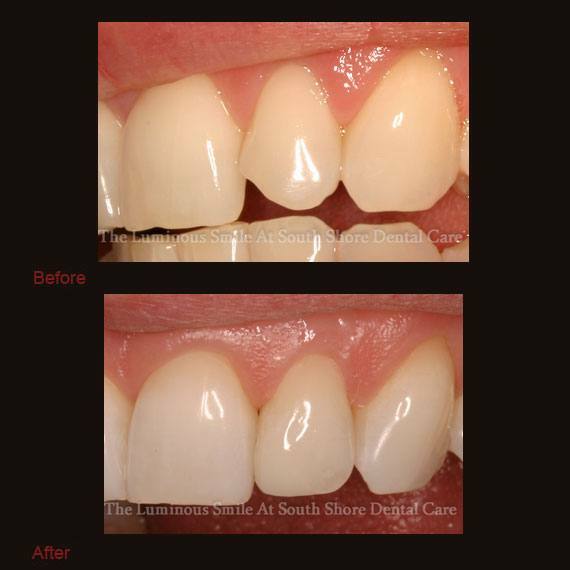 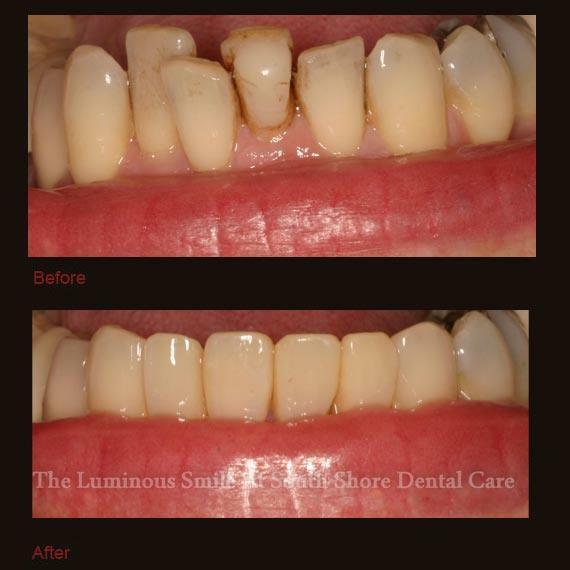 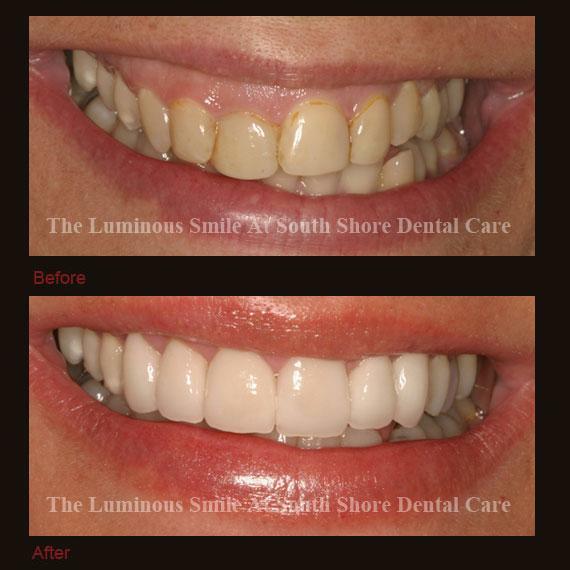 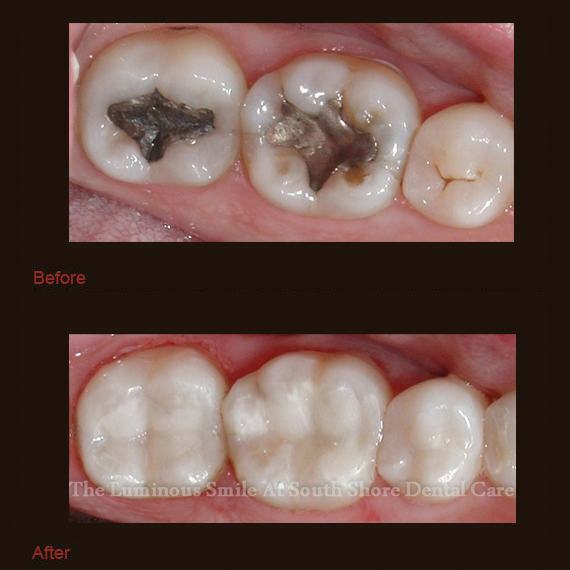 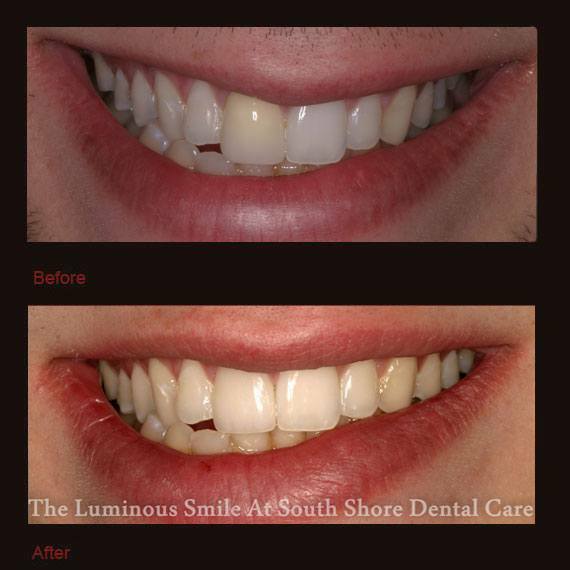 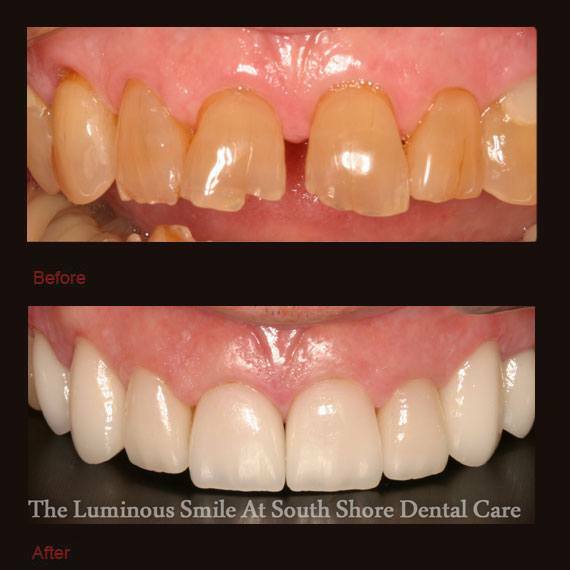 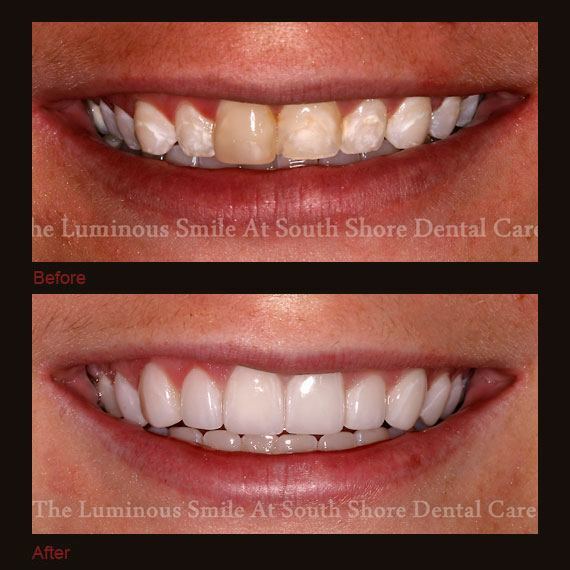 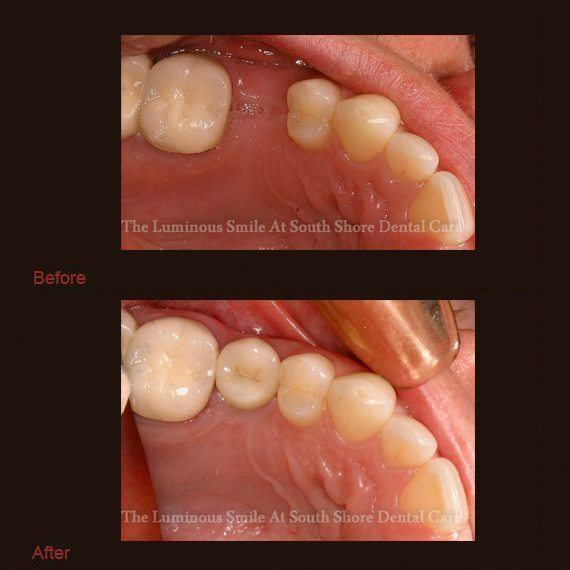 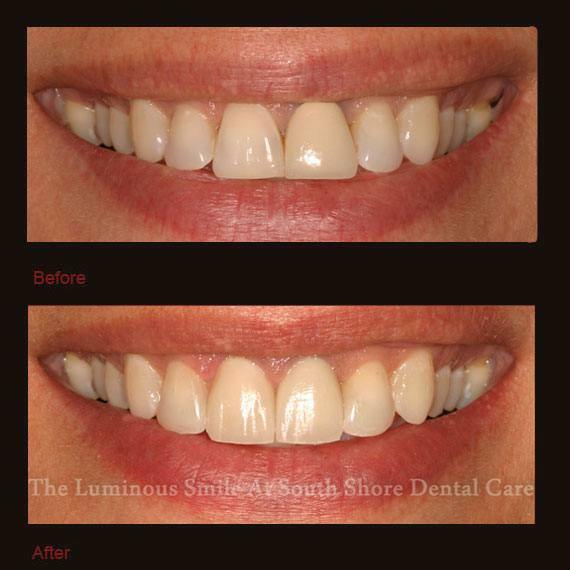 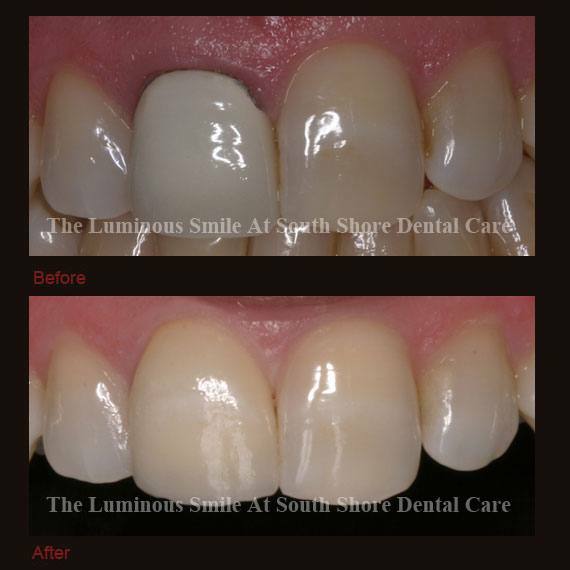 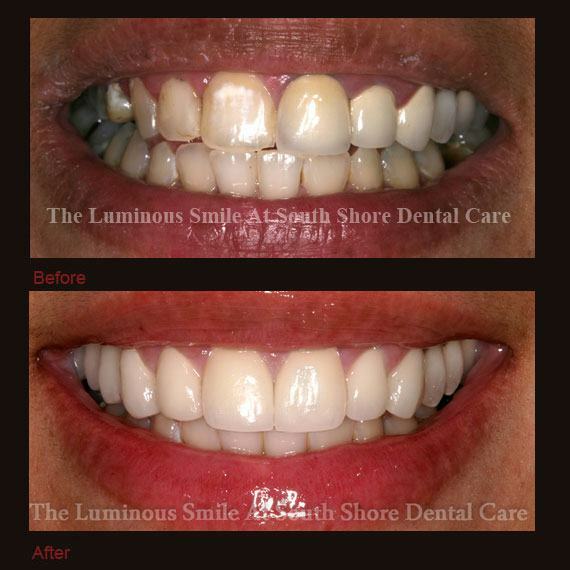 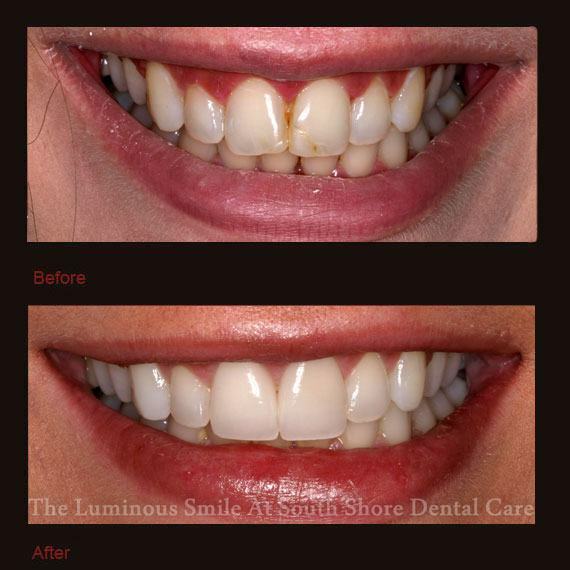 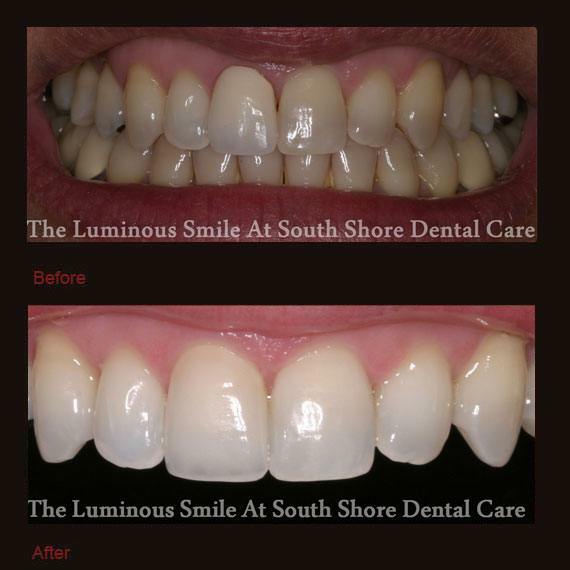 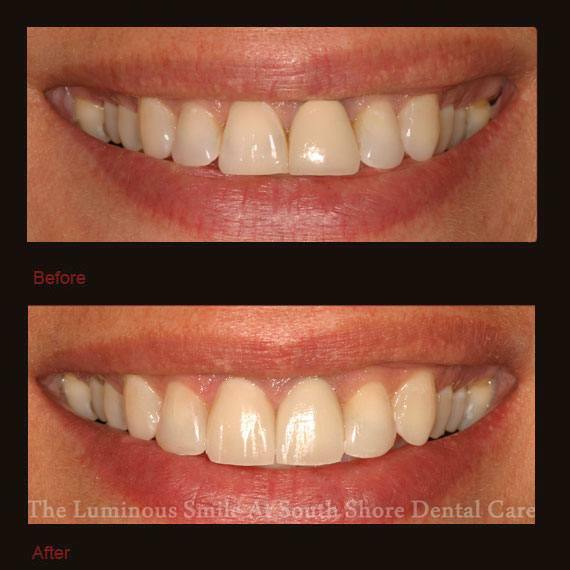 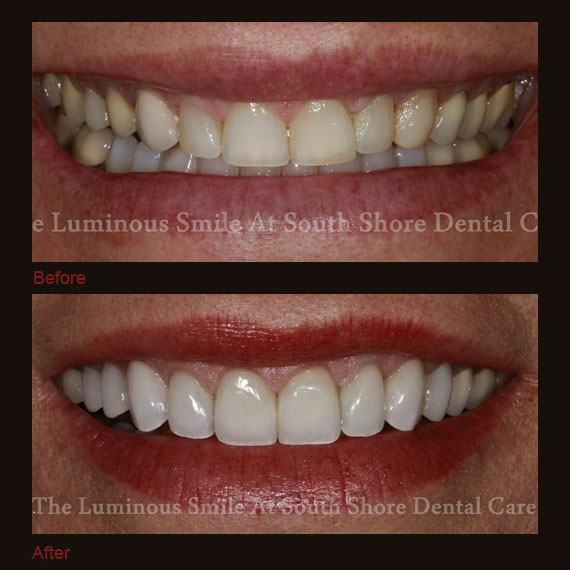 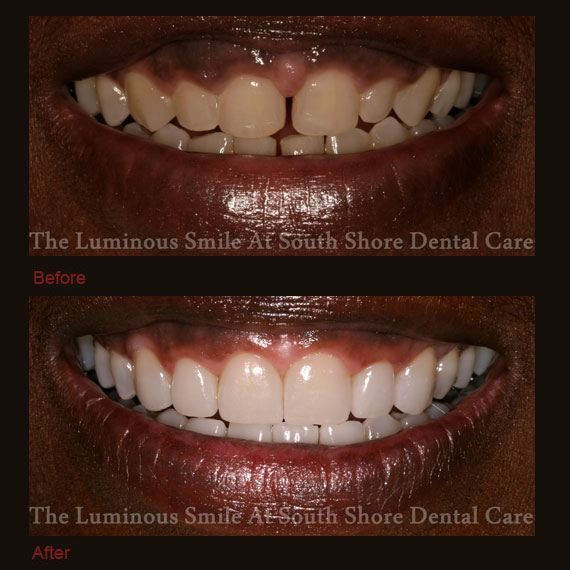 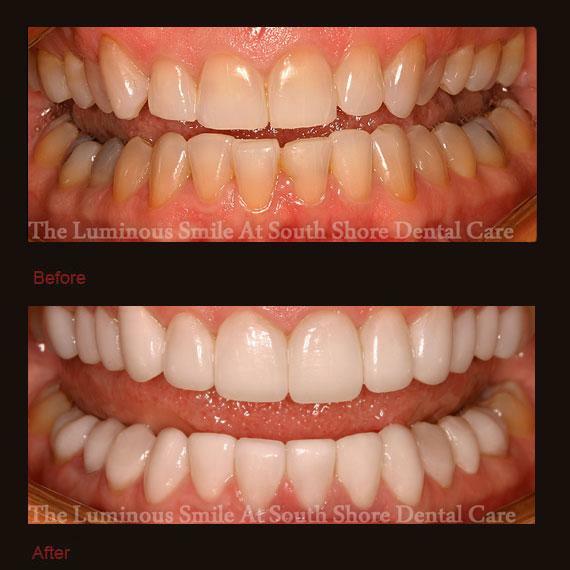 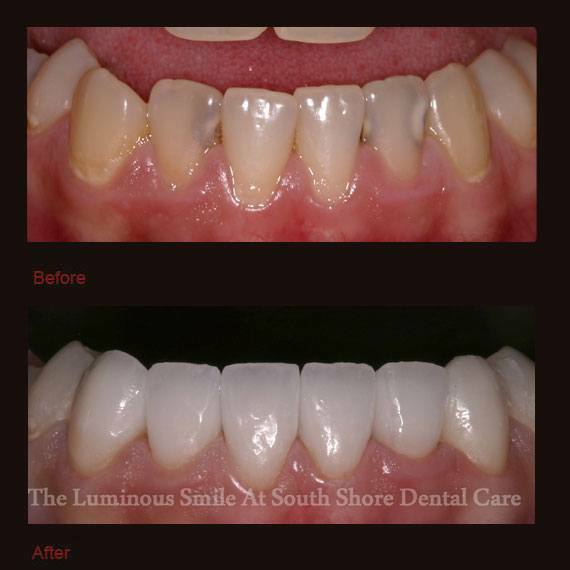 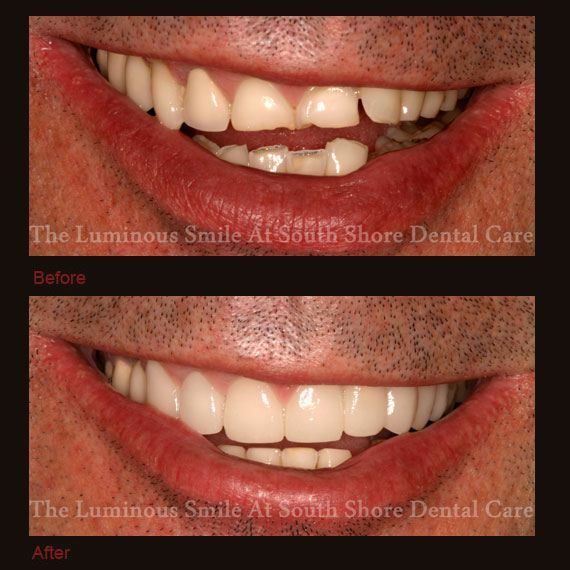 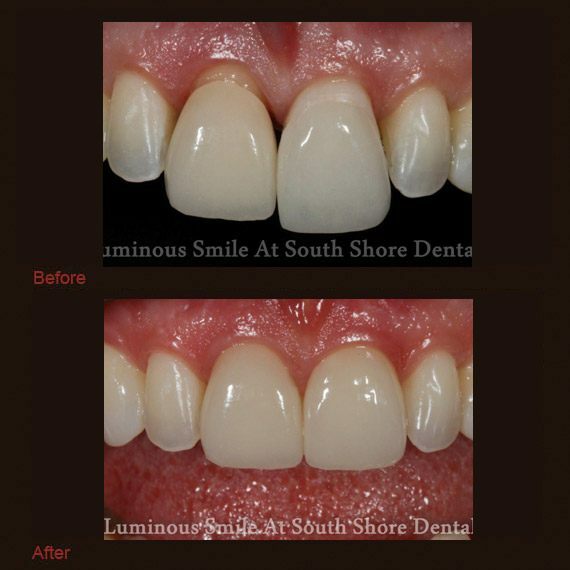 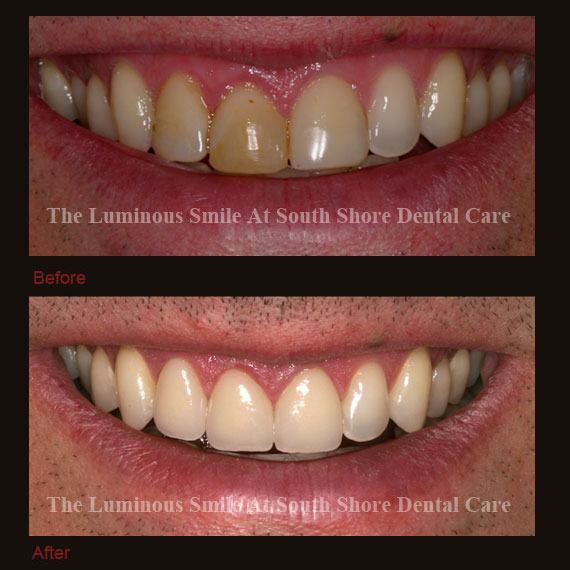 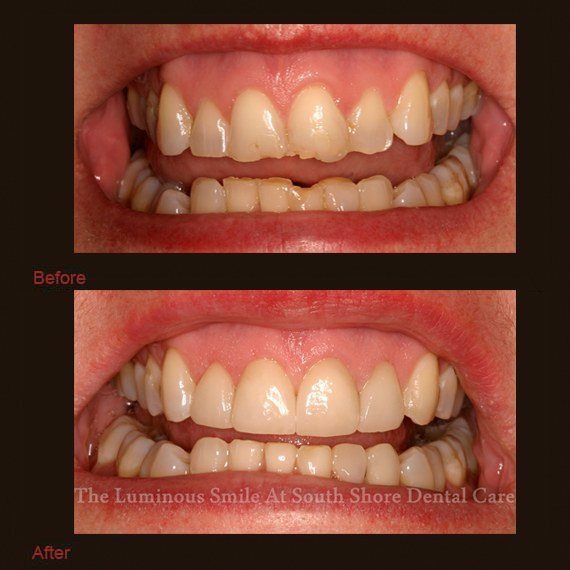 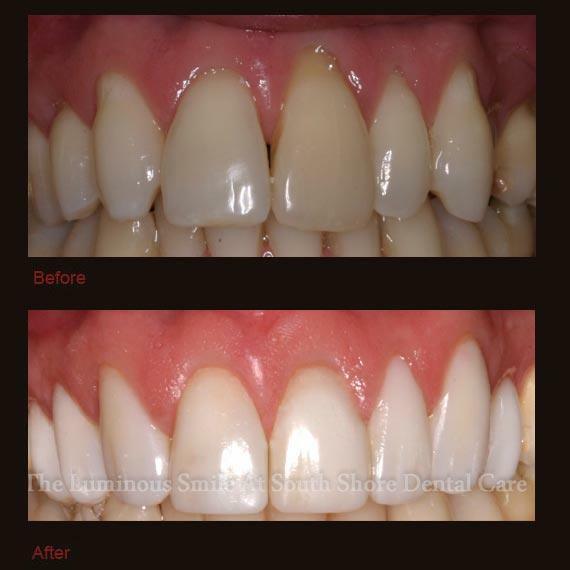 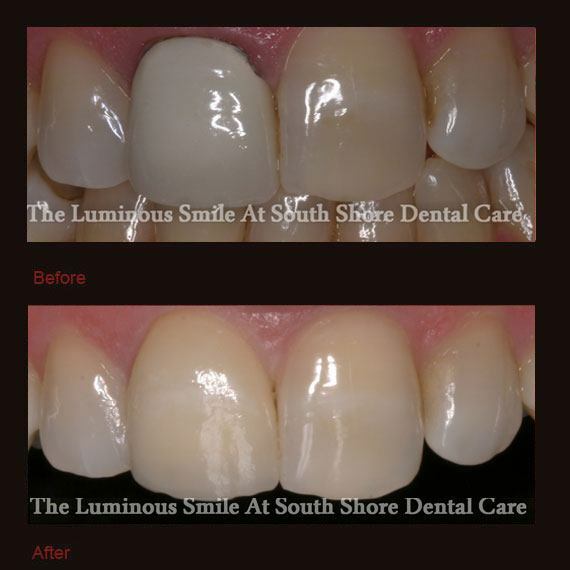 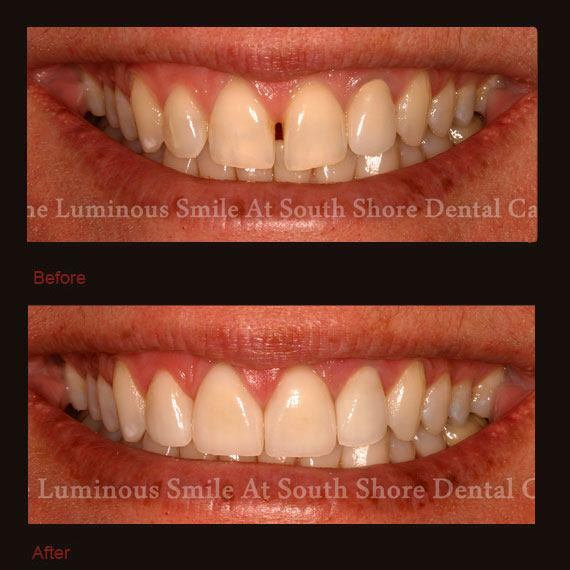 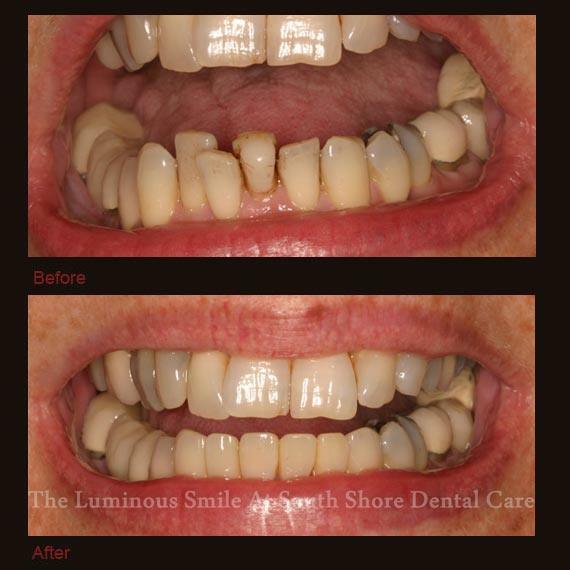 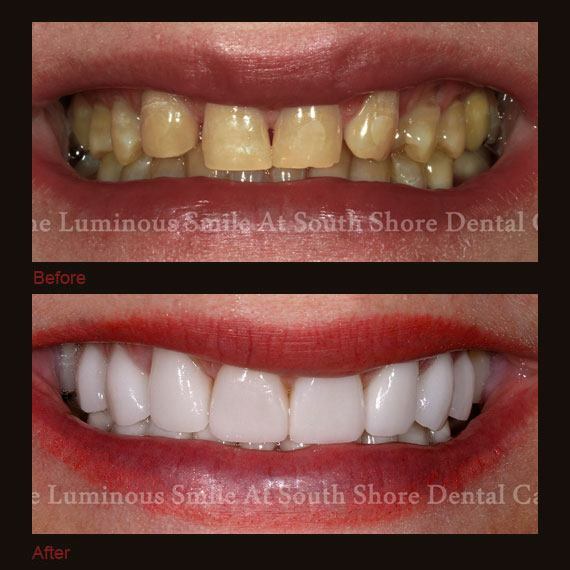 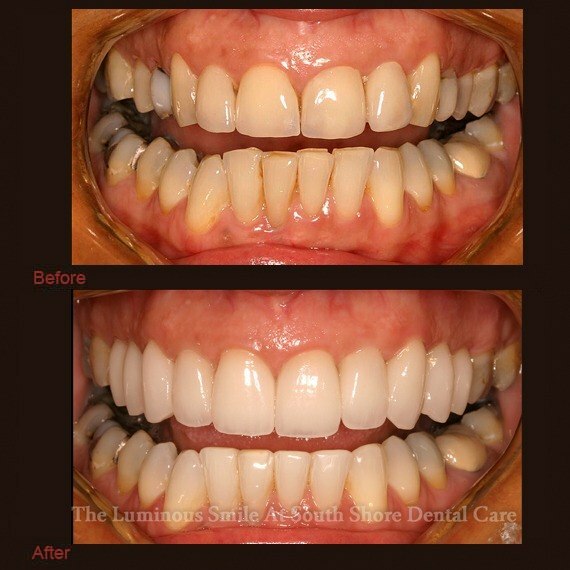 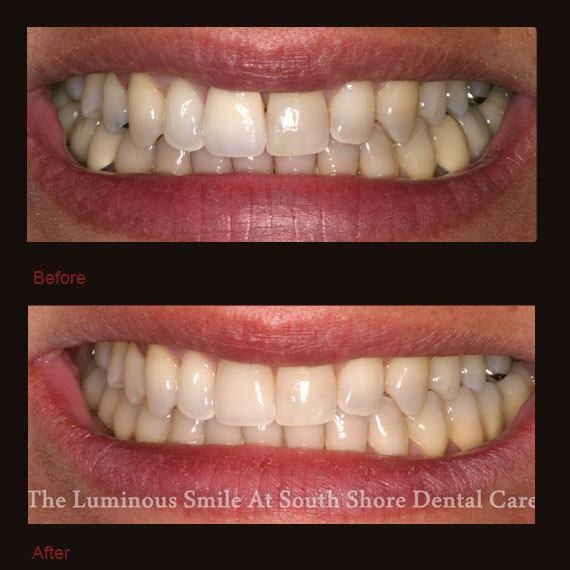 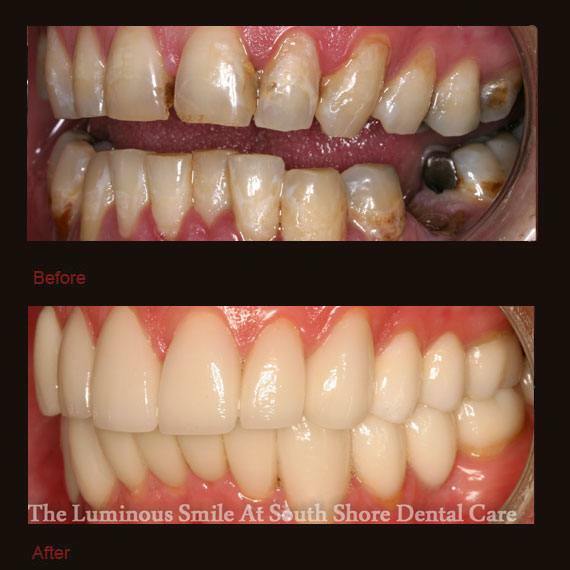 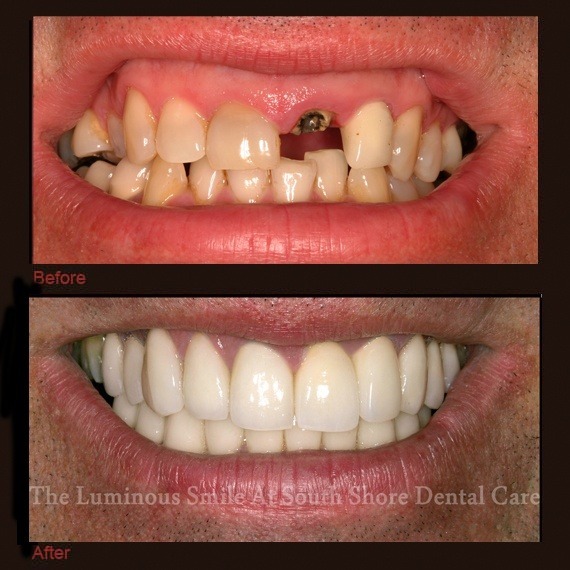 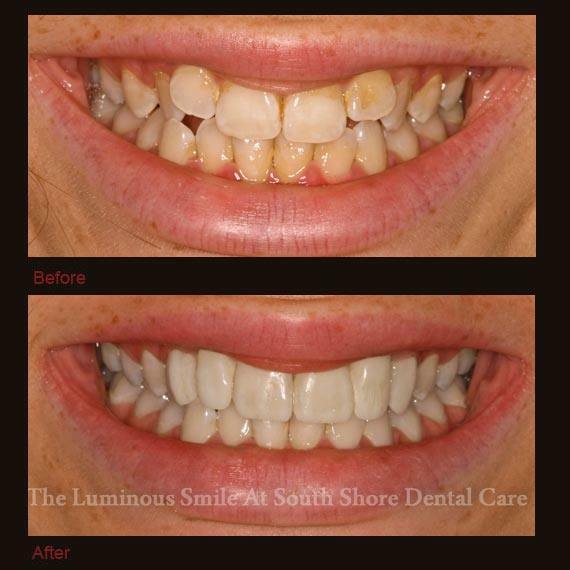 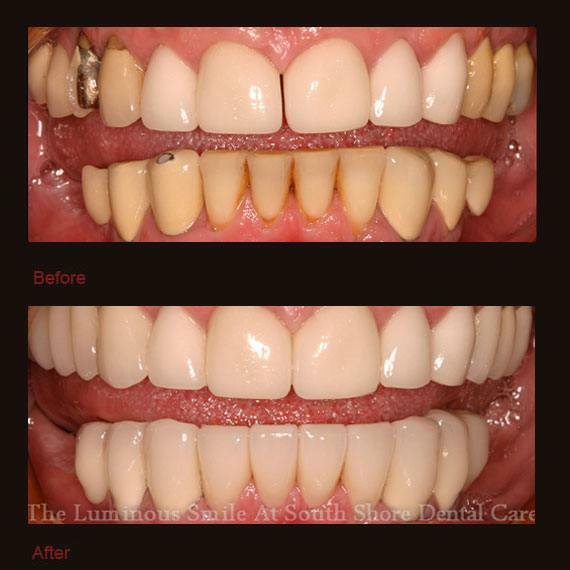 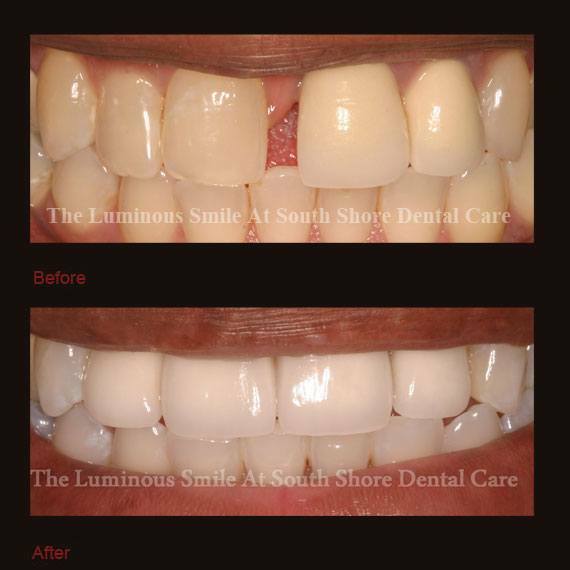 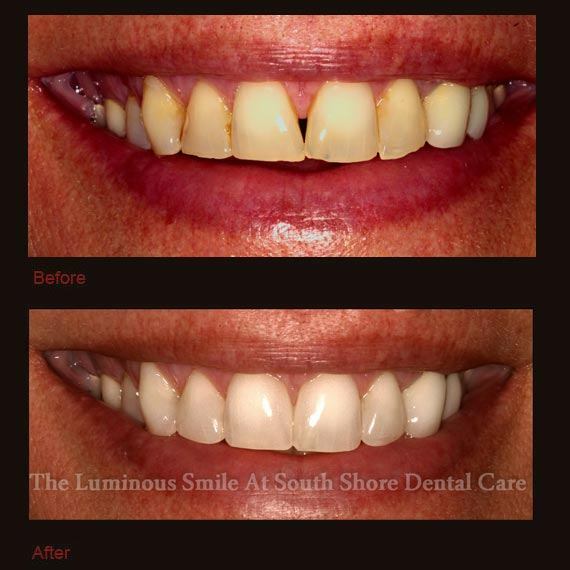 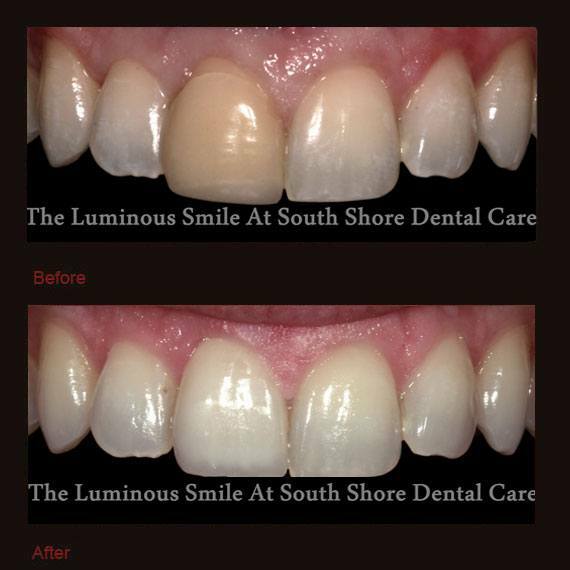 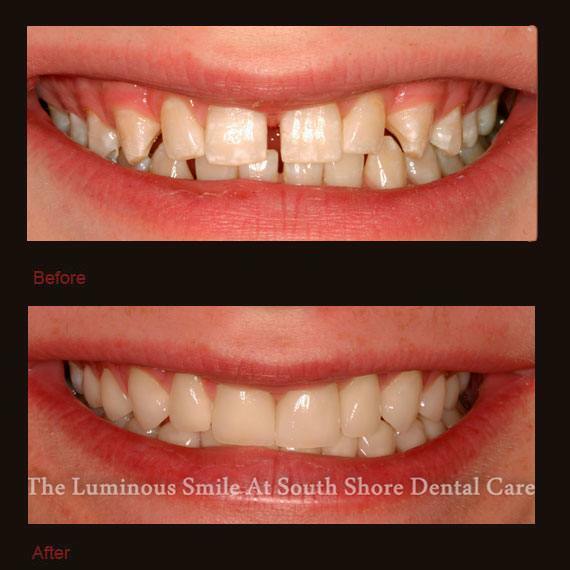 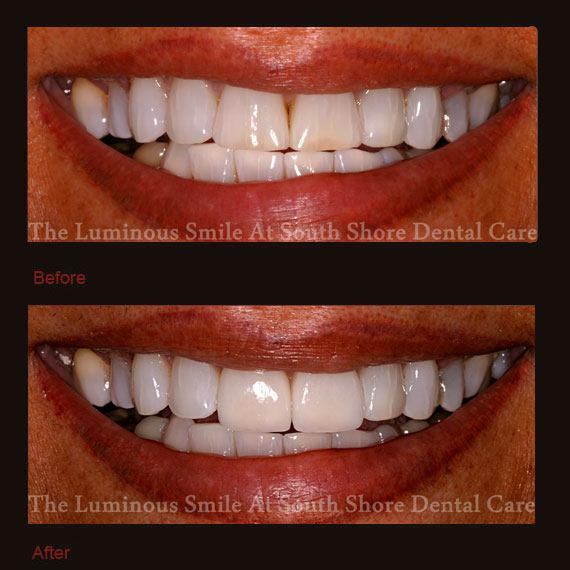 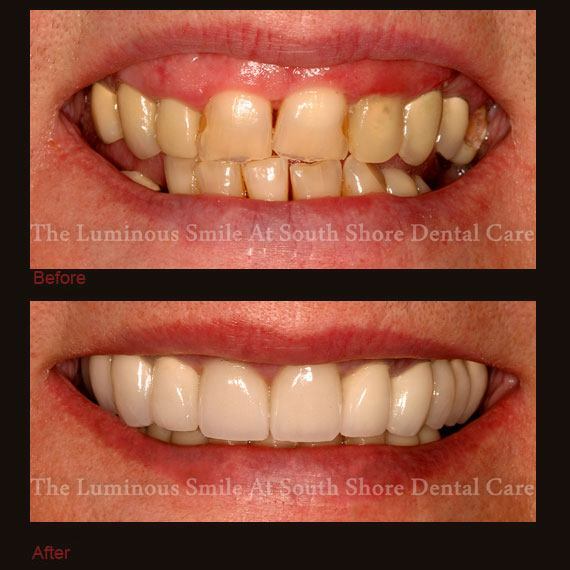 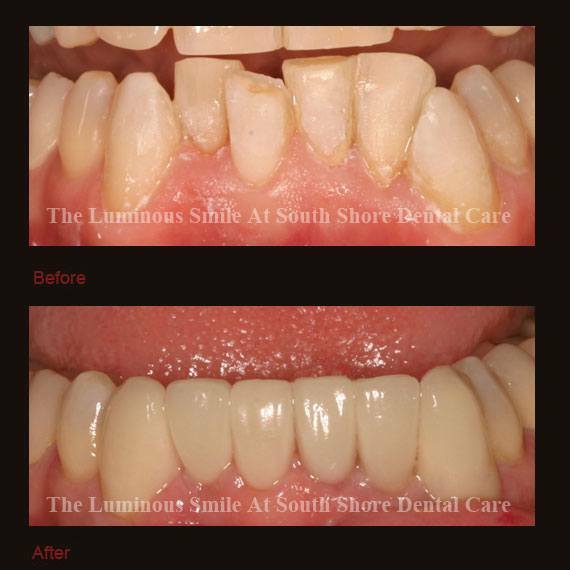 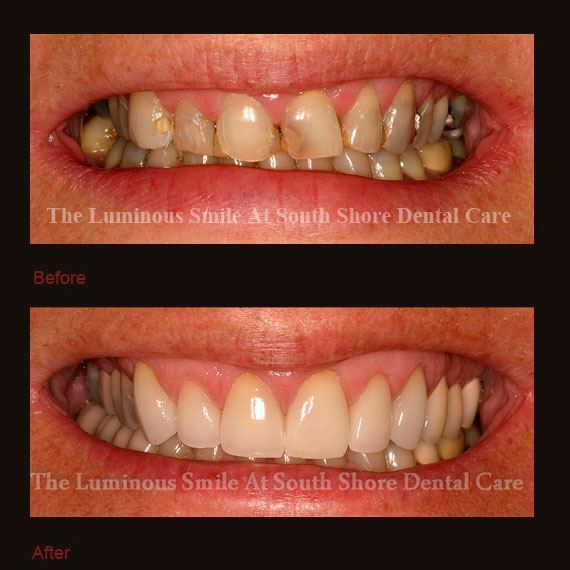 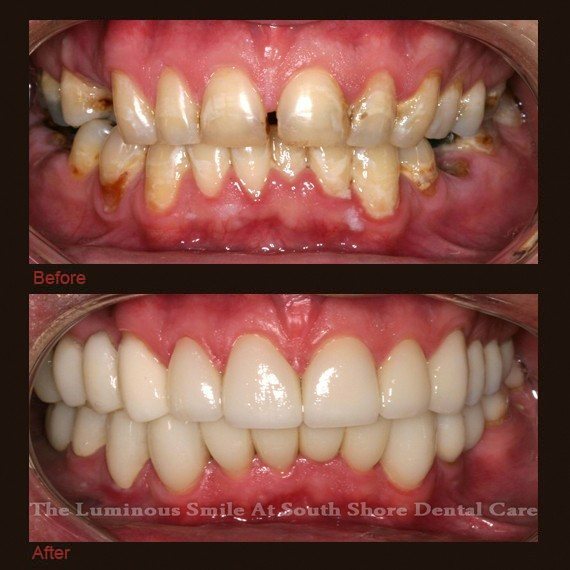 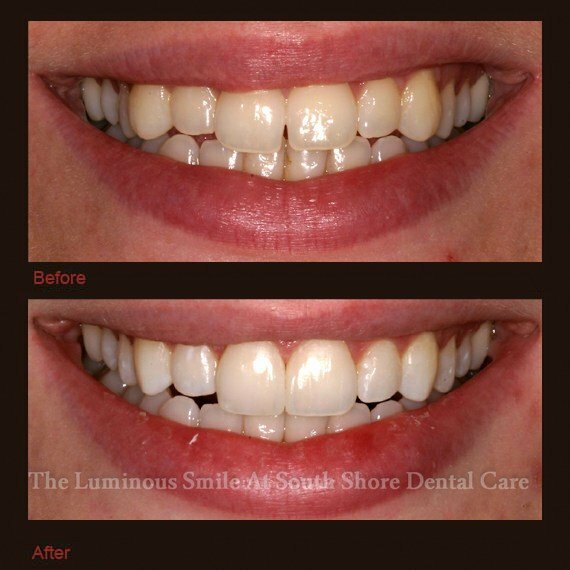 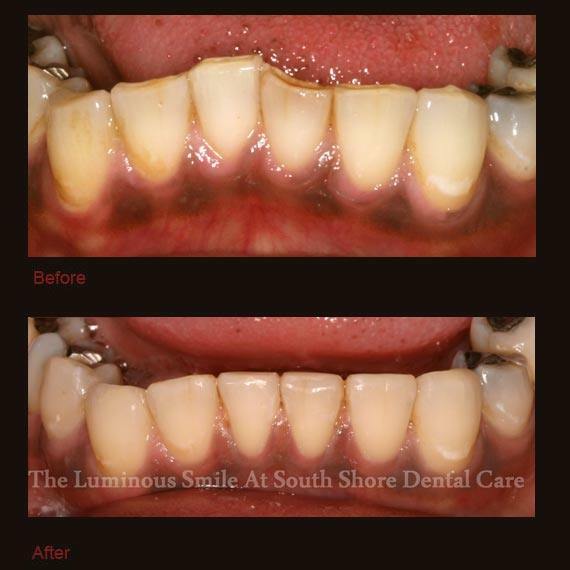 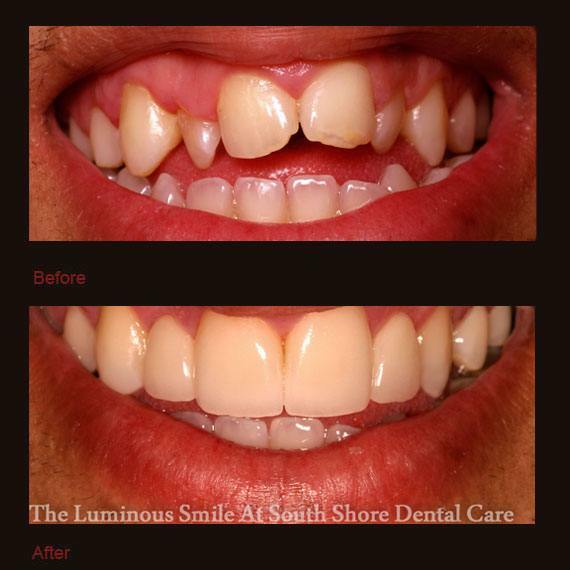 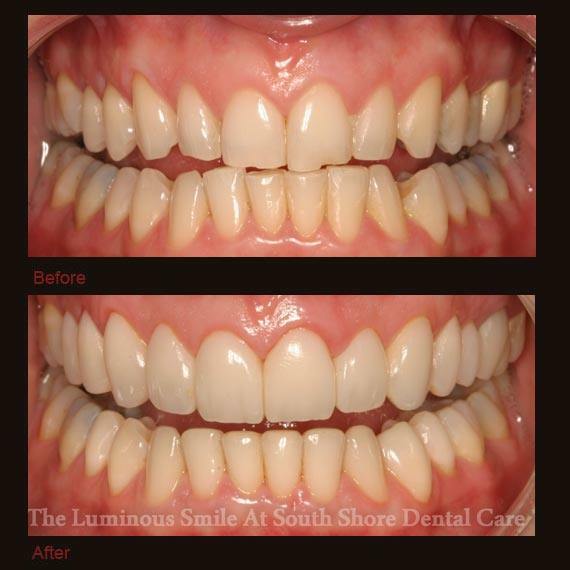 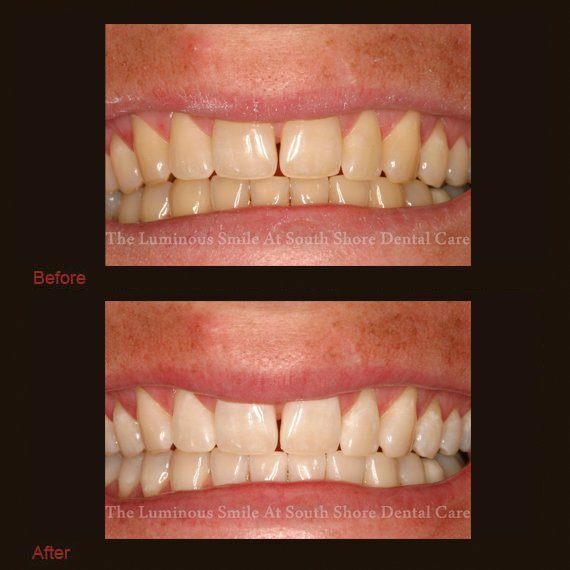 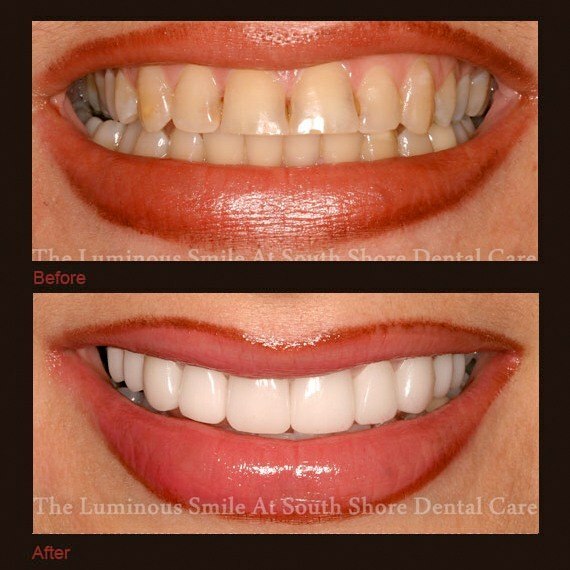 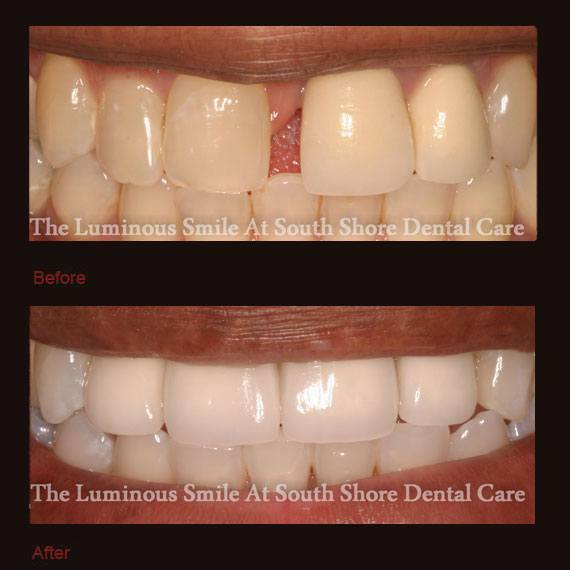 Below, you’ll find examples of some of the great work the team at South Shore Dental Care does every day. 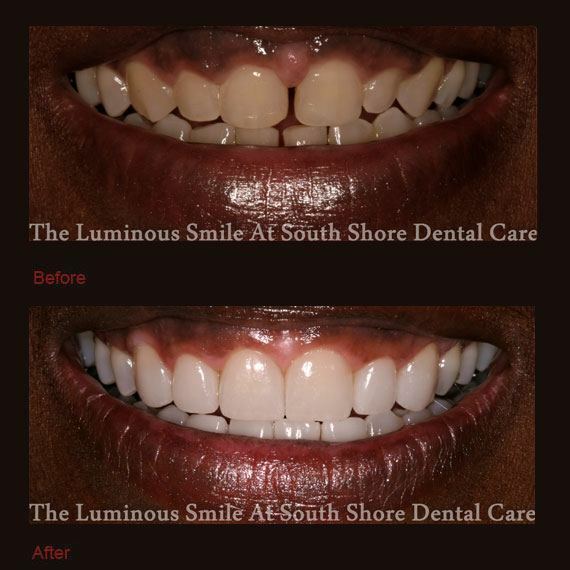 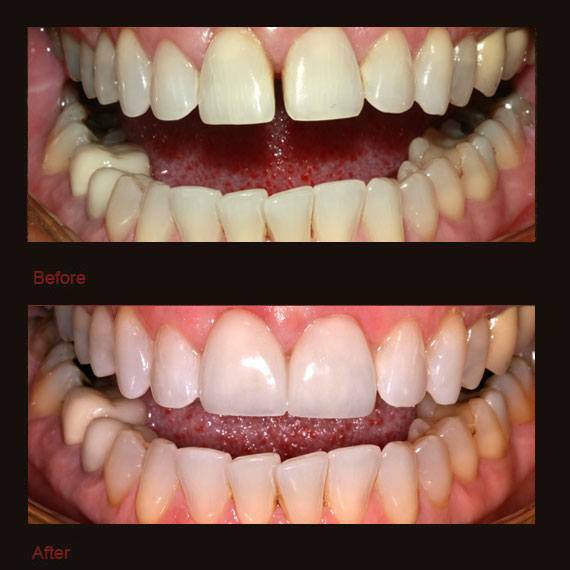 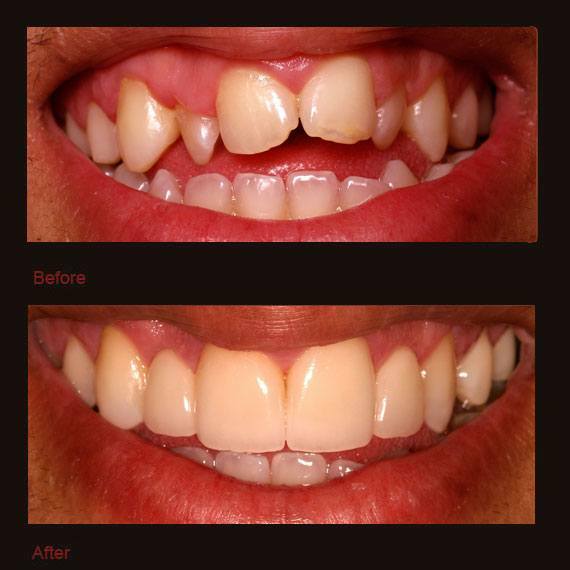 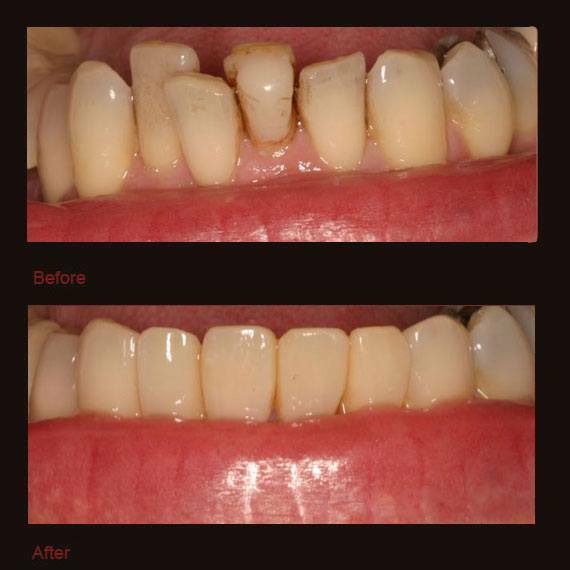 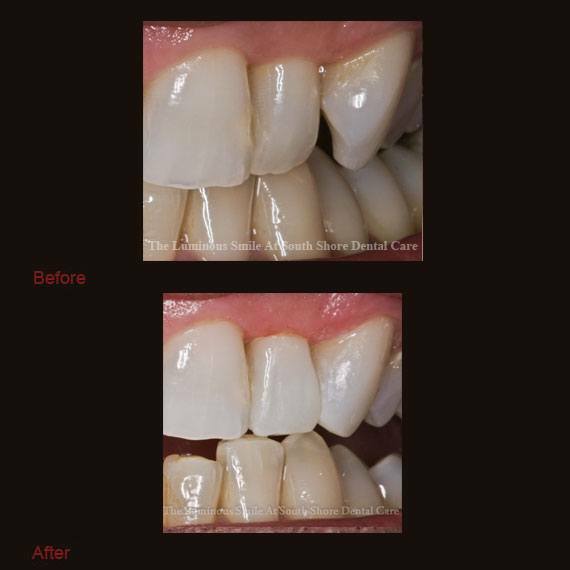 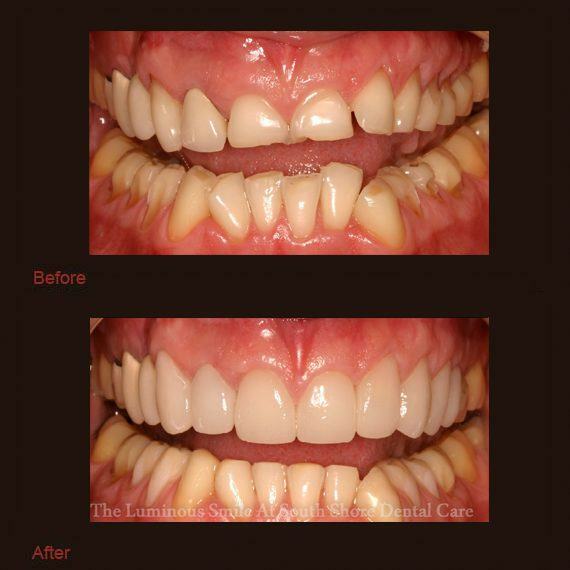 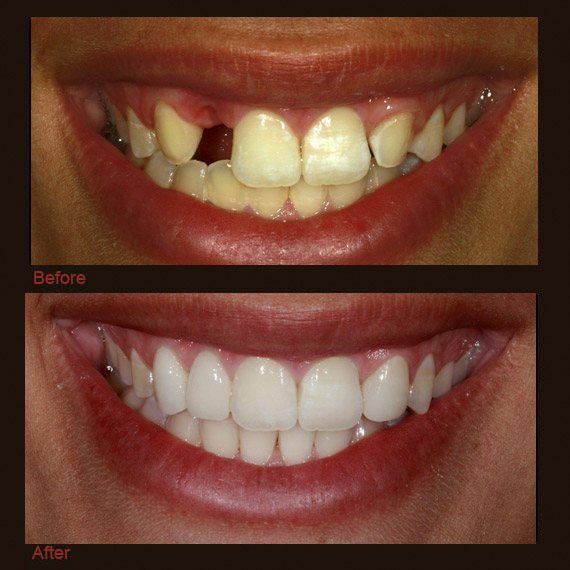 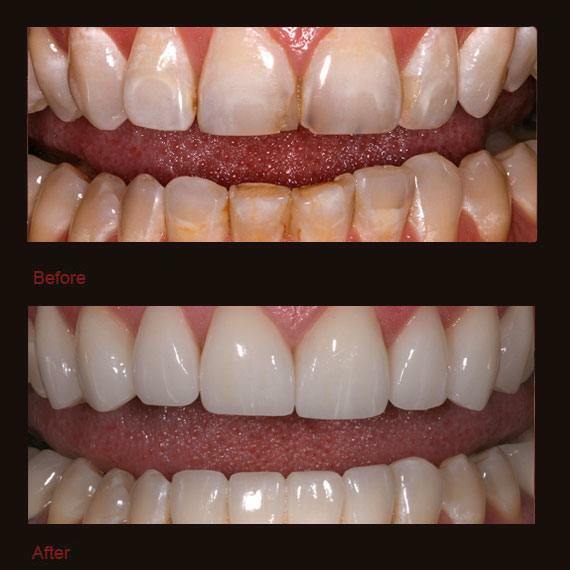 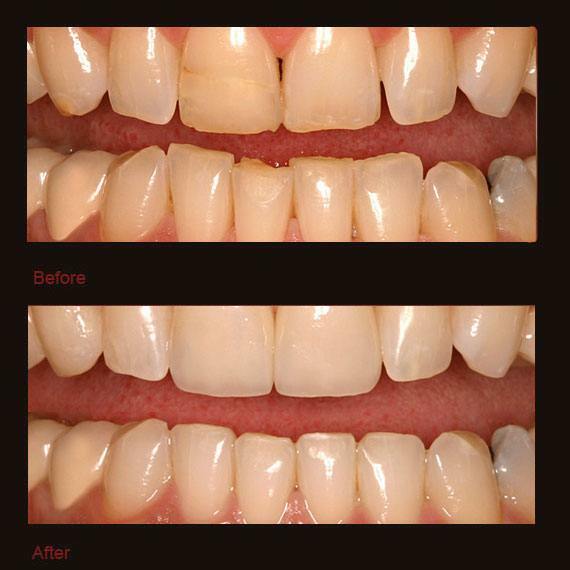 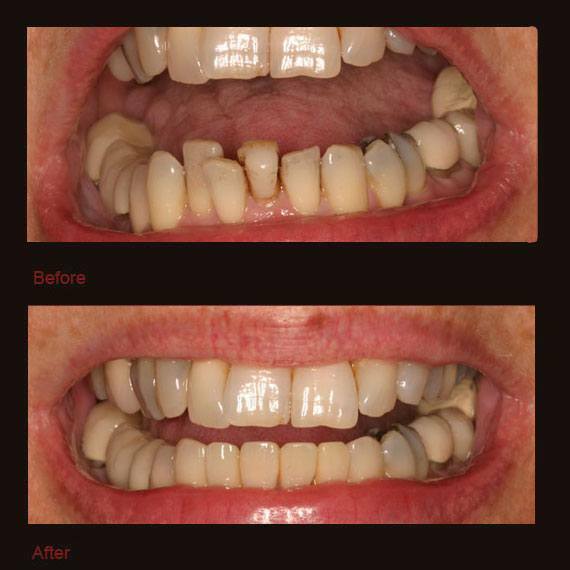 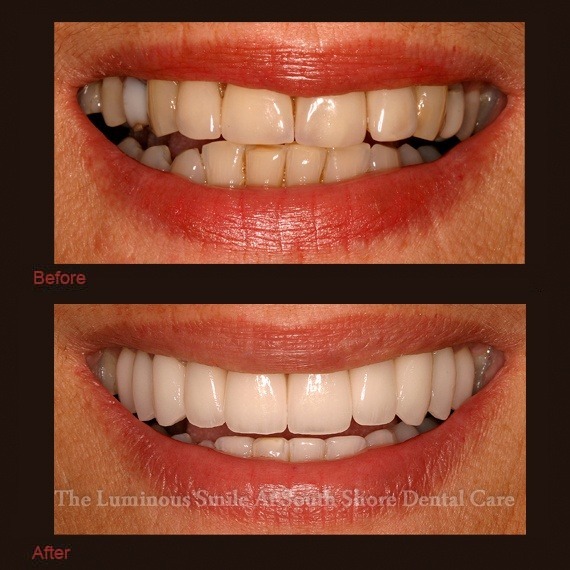 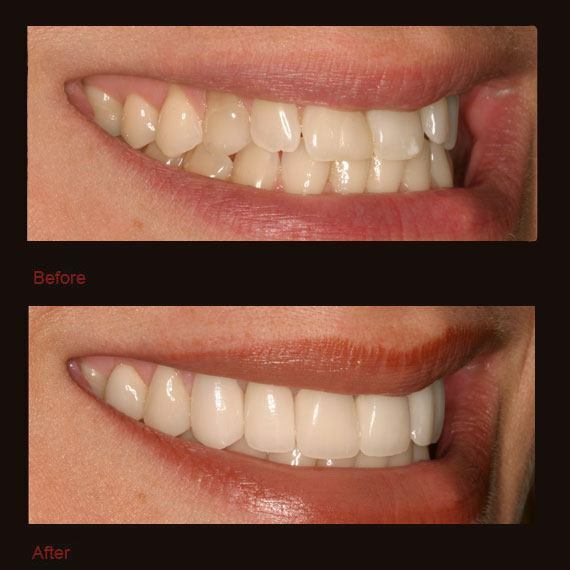 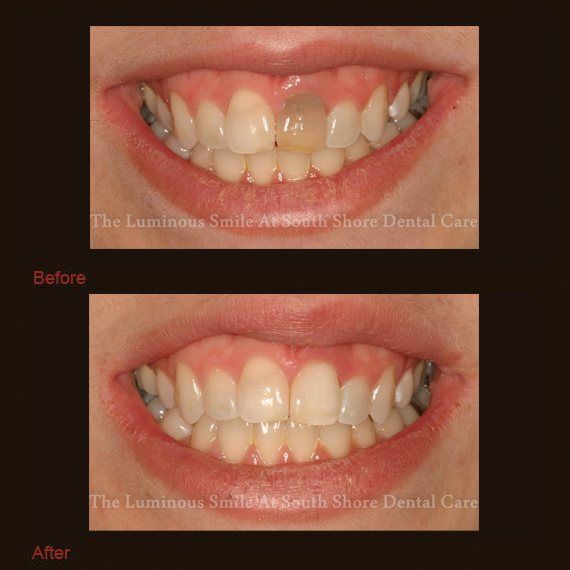 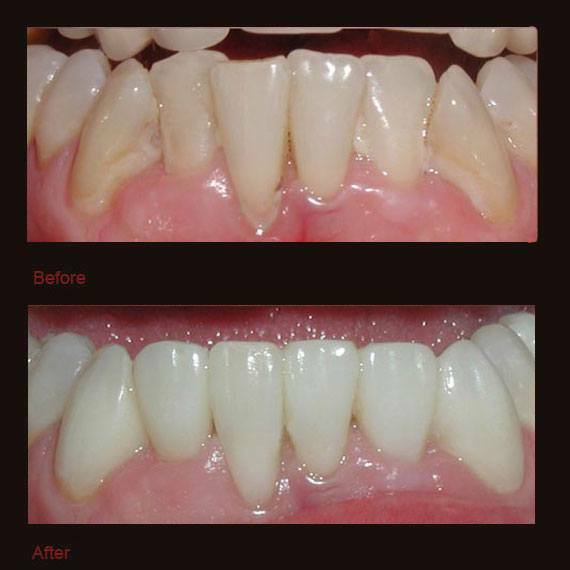 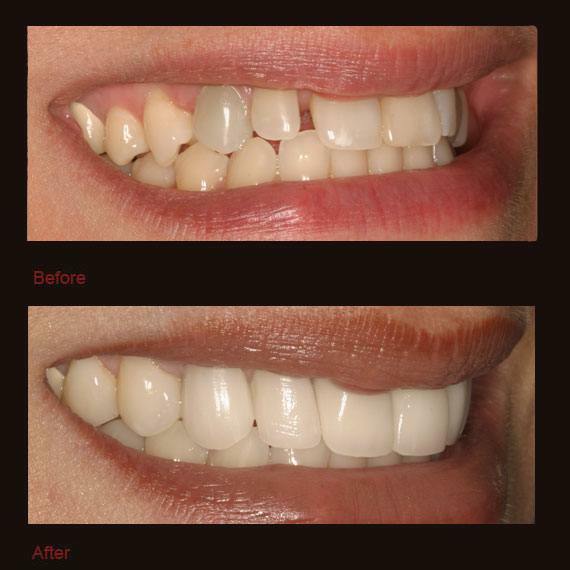 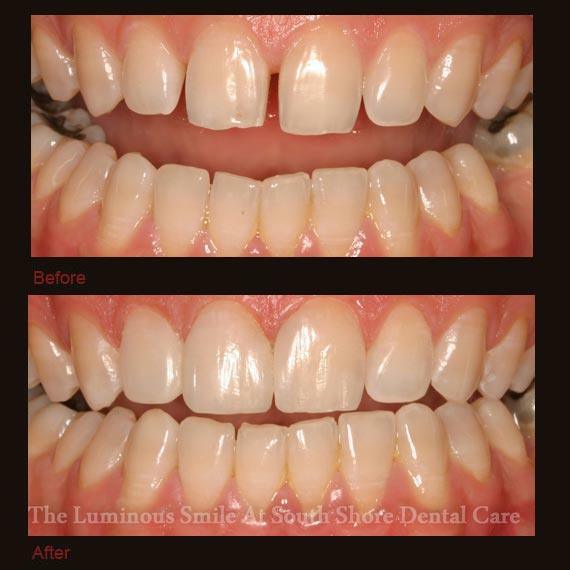 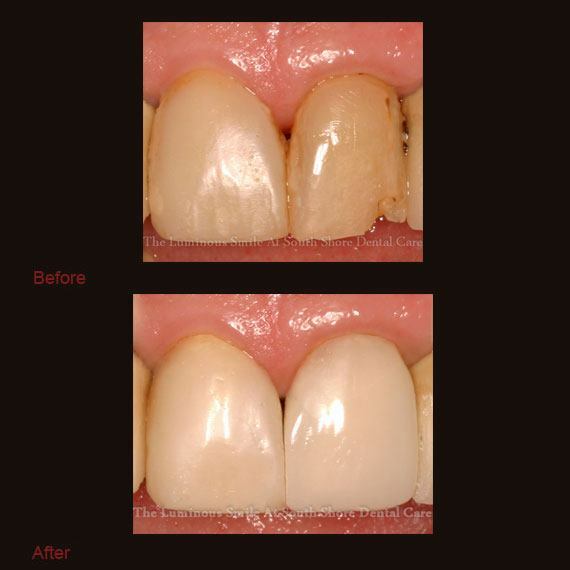 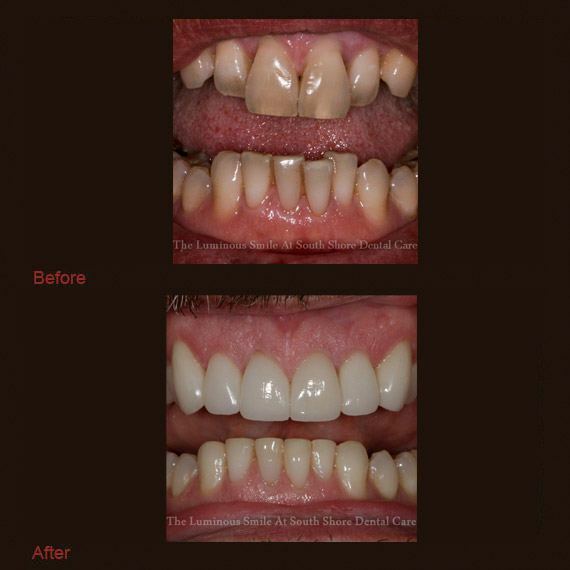 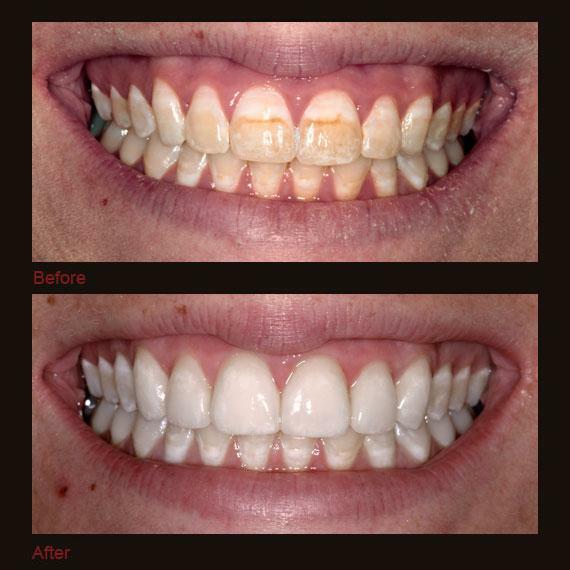 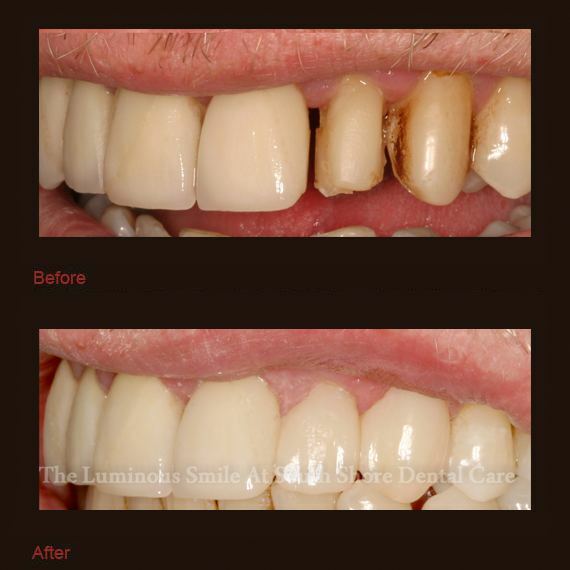 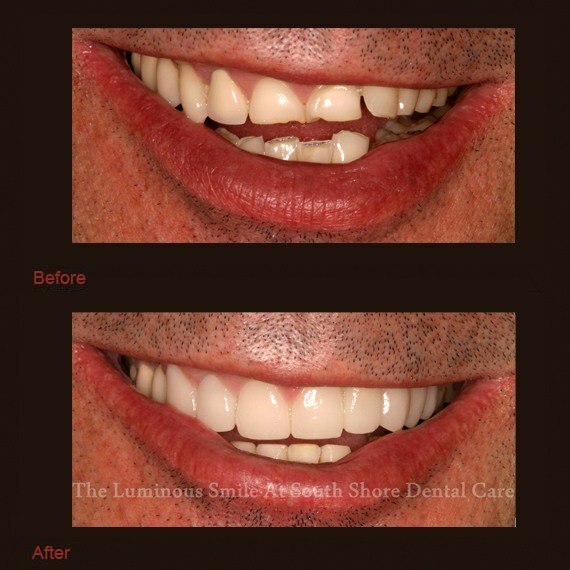 As you’ll see, no matter why someone came to see us, we were always able to help them get a beautiful smile. 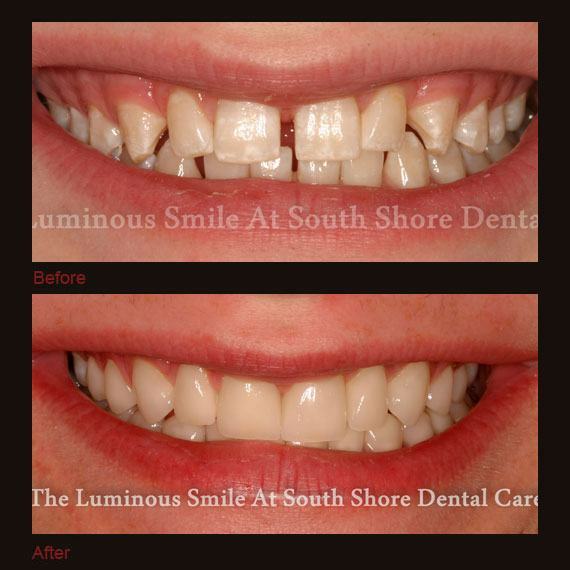 Hopefully, you can find an example of the kind of results you’re hoping to achieve by coming to see us! 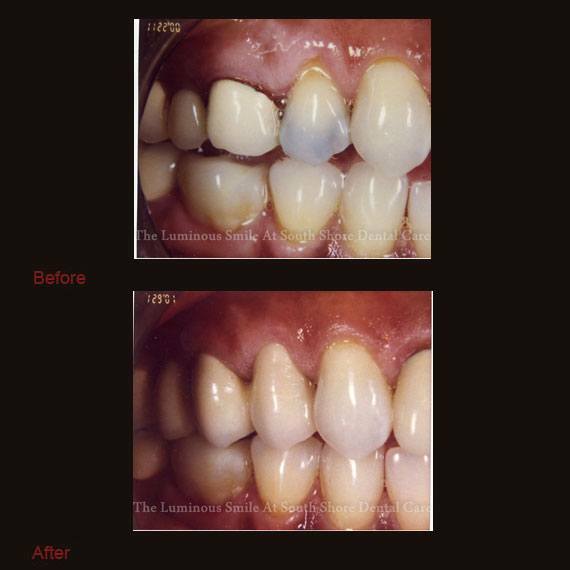 If you’d like to learn more about any of the treatments we have featured here, be sure to contact us today.